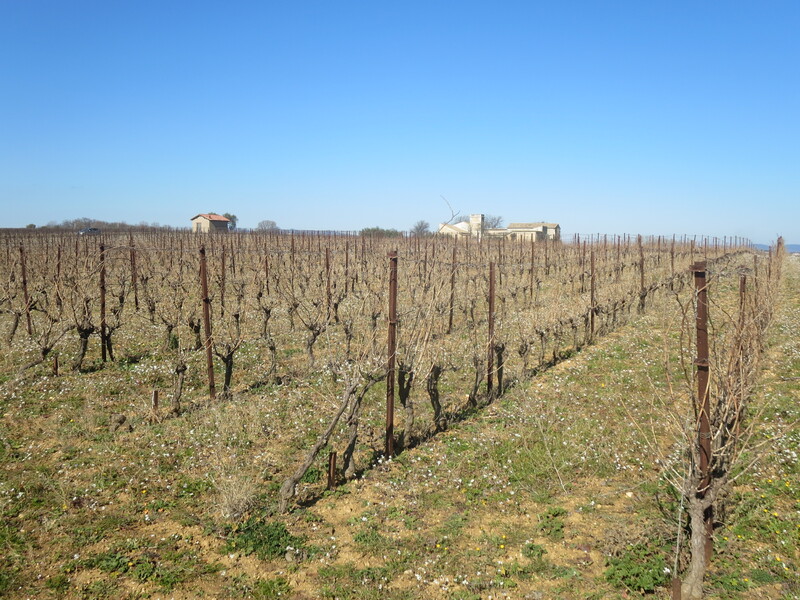 The traditional image of a vineyard is that of one big parcel of vines surrounding a chateau as in Bordeaux, with its smart house and cellar buildings for making and storing wine. 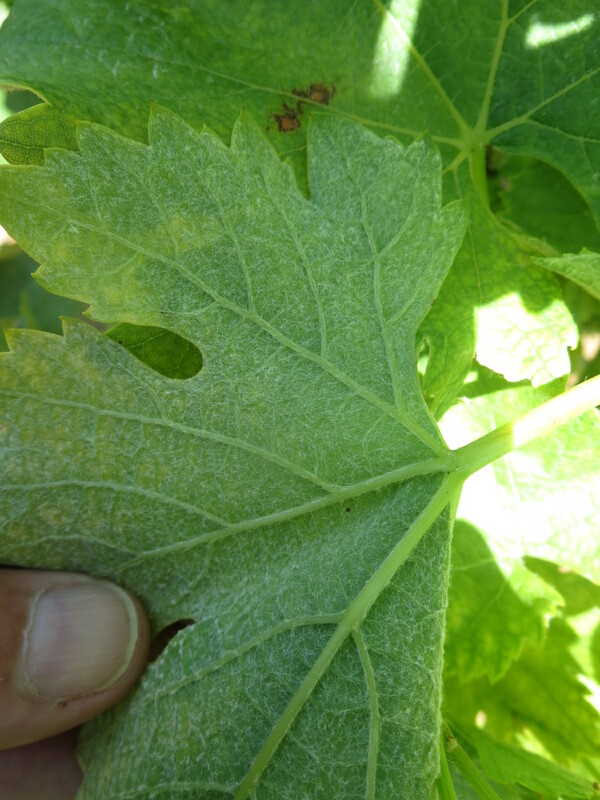 However, that is not the reality for most vineyard owners. 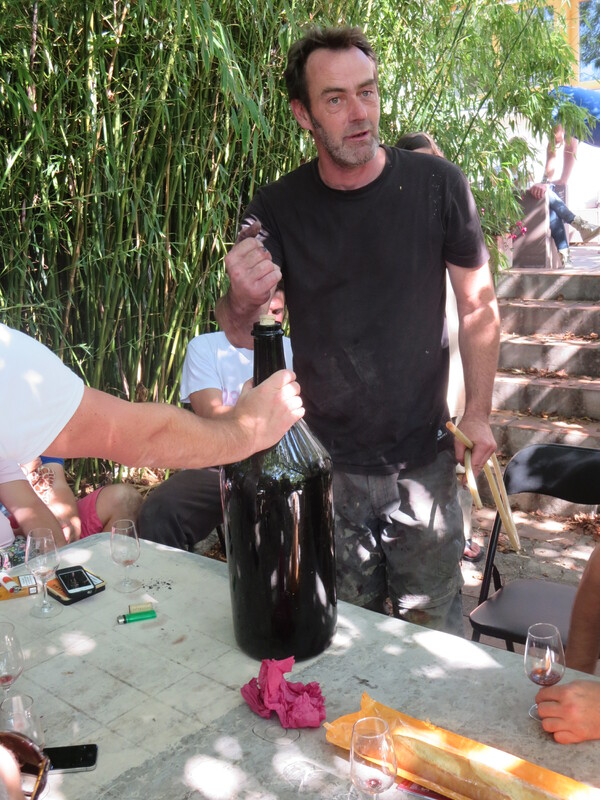 Jeff Coutelou has his home and his cellars in the centre of Puimisson in the Hérault, surrounded by a childrens’ nursery, houses and work buildings. 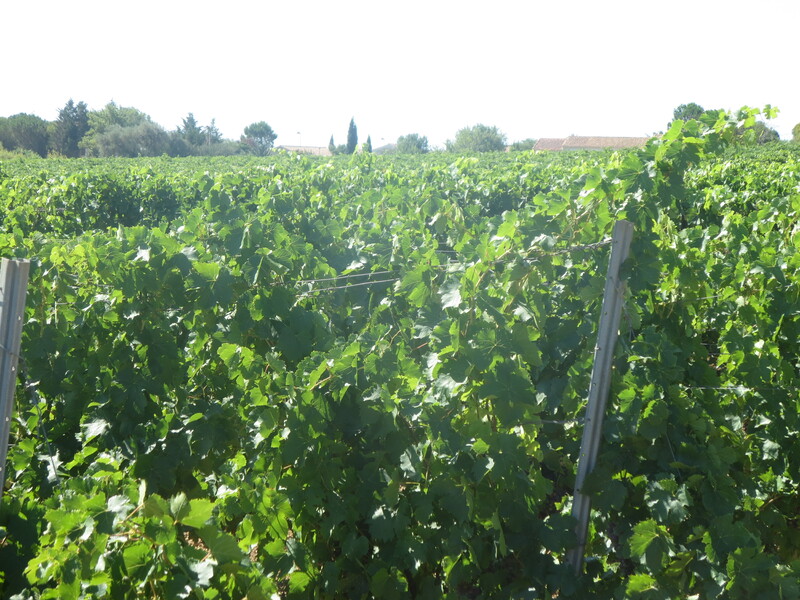 The vineyard itself surrounds the village but comes in a number of small parcels rather than one big vineyard. 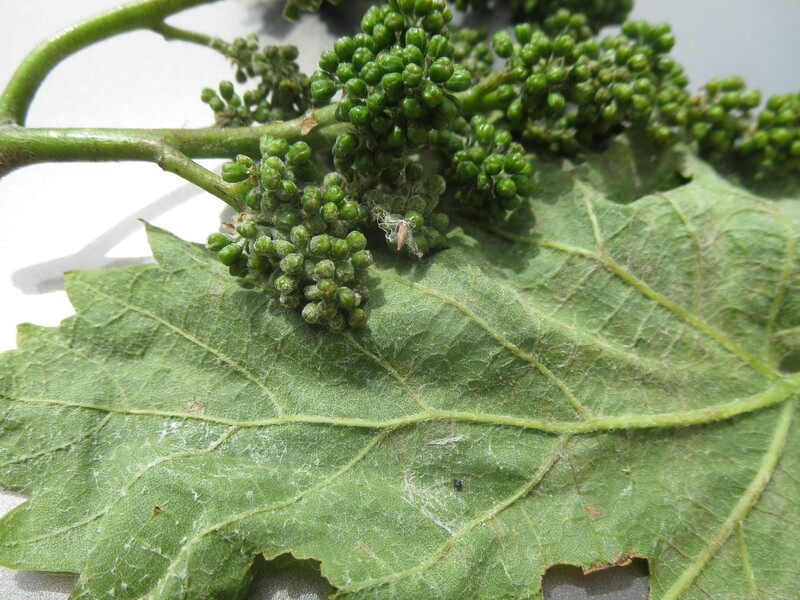 Each brings its own characteristics in terms of soil, surroundings and exposure to the elements, ie its own terroir. 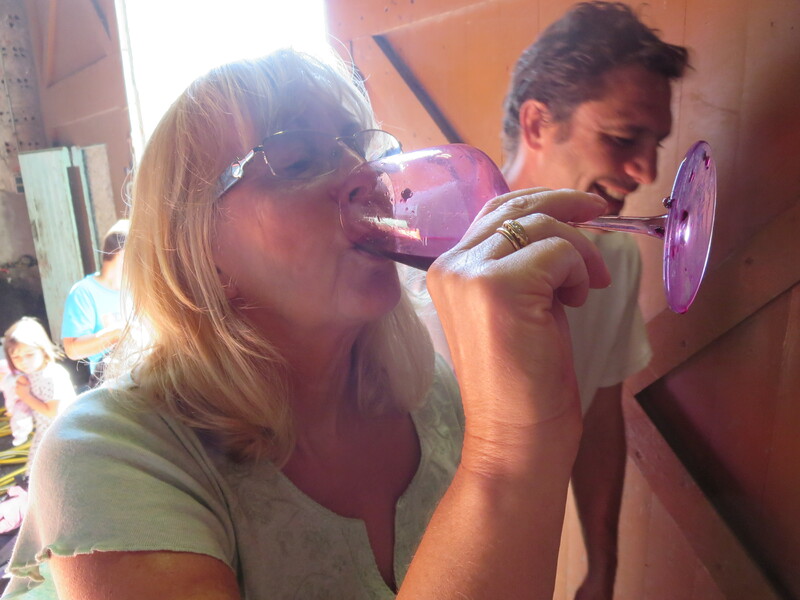 The parcels have been accumulated over the years by Jeff’s grandfather, father and himself. 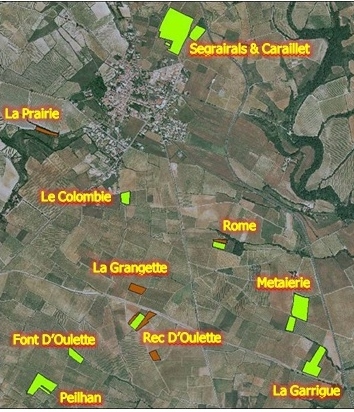 In the satellite photograph below you will see the parcels and how they relate to the village. 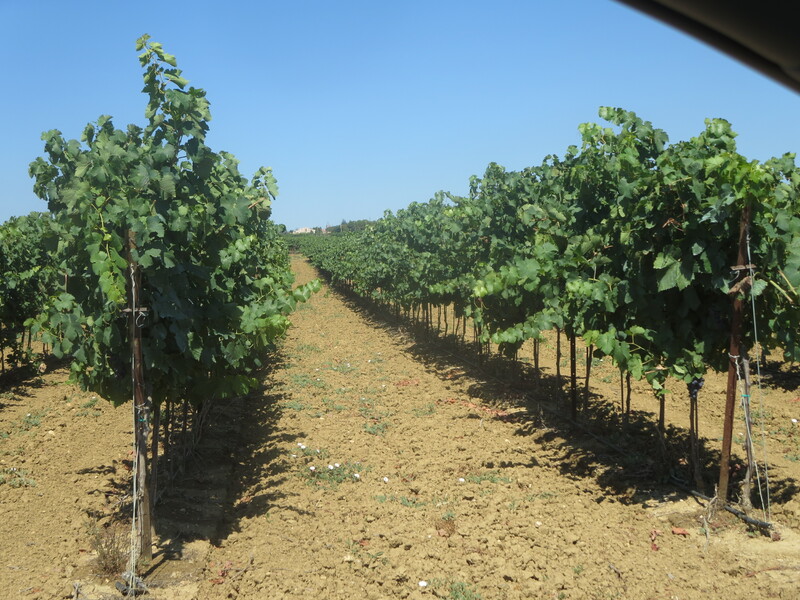 Vineyards are shown in green, olive groves in red. 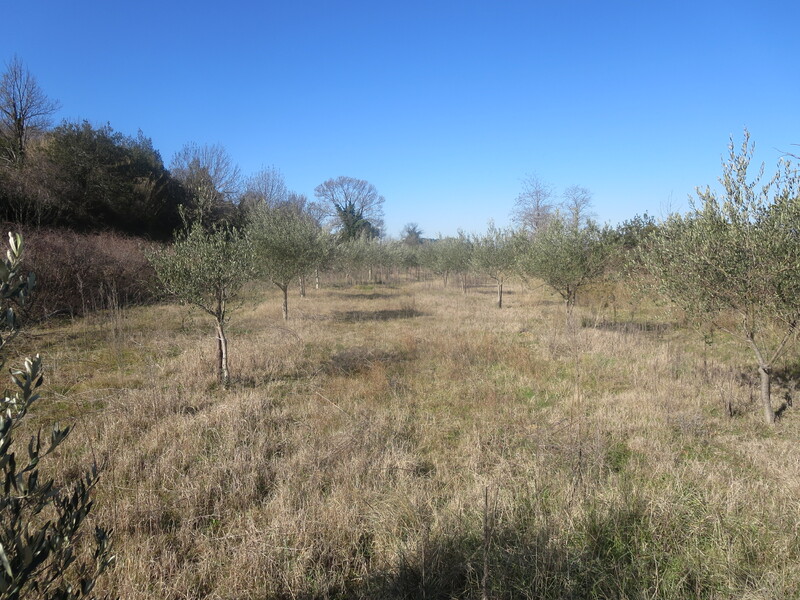 There are about 17.5 hectares (43 acres) of land though olive trees occupy about 2.5ha (6.7 acres) and well over 1 ha (3 acres) is fallow land or has other trees, hedges and plants. 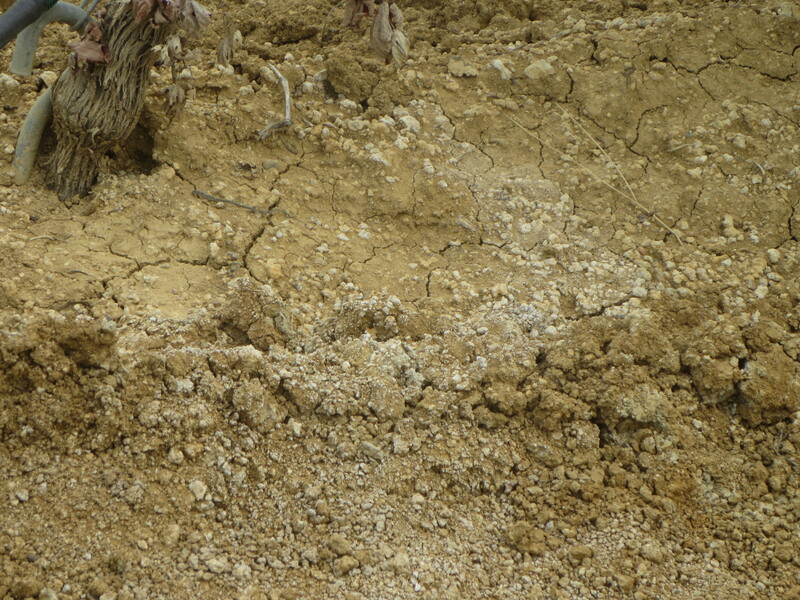 The soil is virtually all clay and limestone. 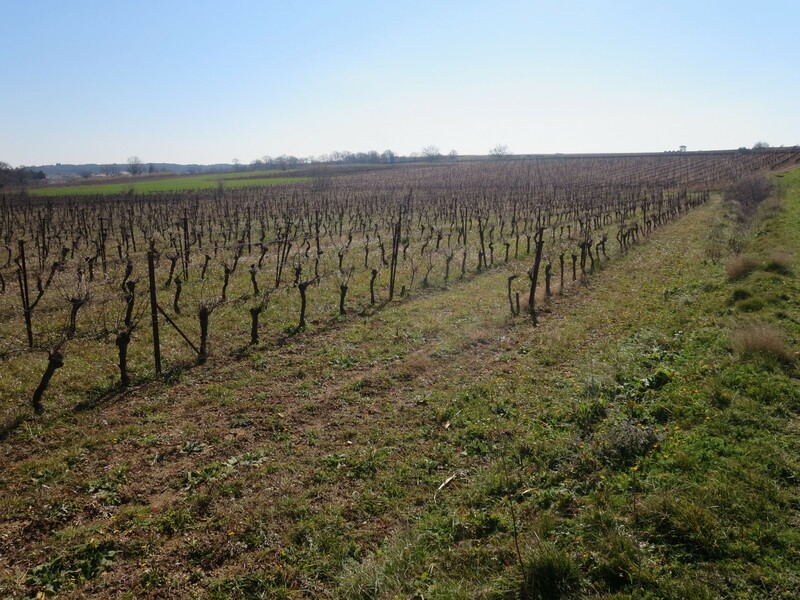 As you may be able to see in the satellite photograph much of the land to the south of Puimisson is vineyard, to the point of monoculture. 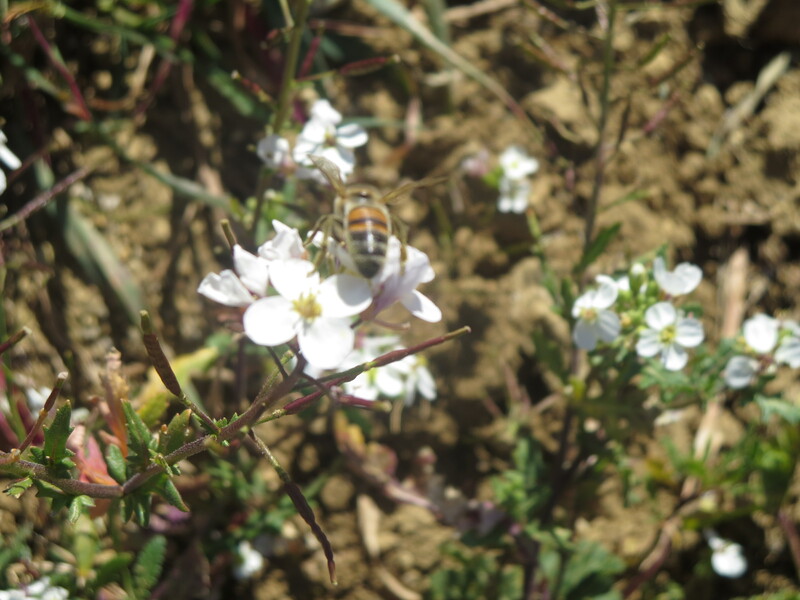 Jeff wants to use his land to produce biodiversity so olives, figs, roses and hedges help to create little oases of wildlife. 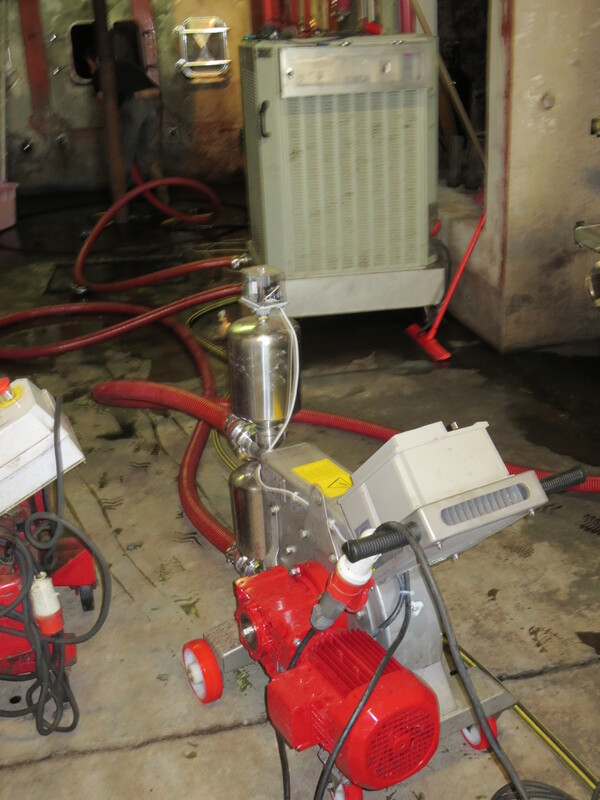 More details are outlined at the end of this post. 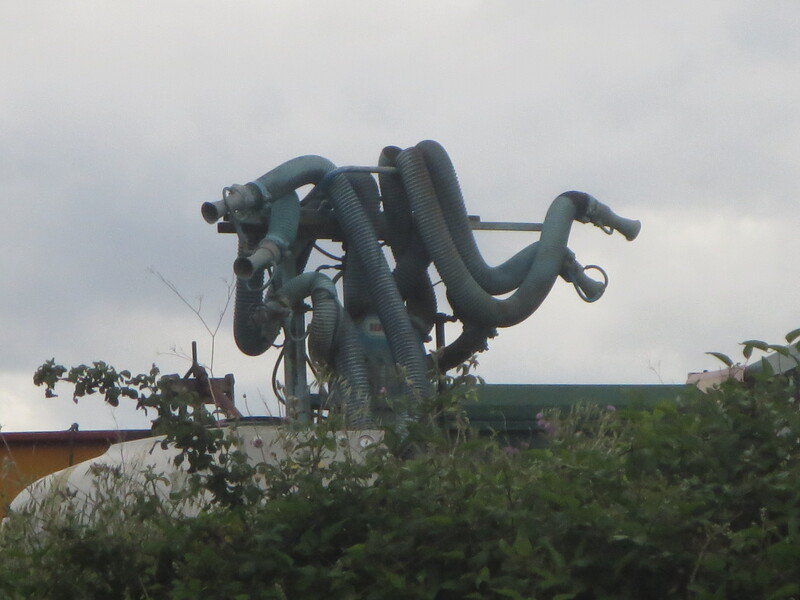 This is the biggest of the parcels and the only one situated to the north of the village and closest to it. 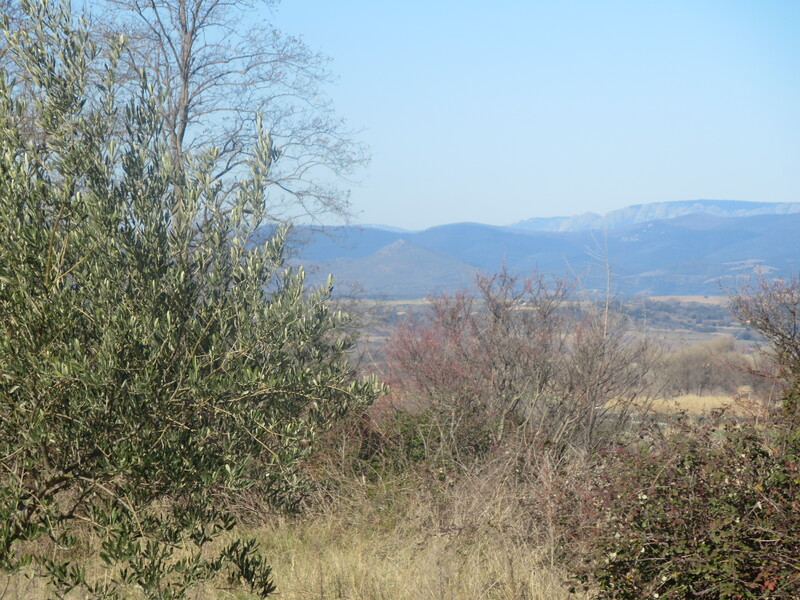 Surrounded by the village and a couple of roads it is well protected by trees and hedges, including figs and olives. 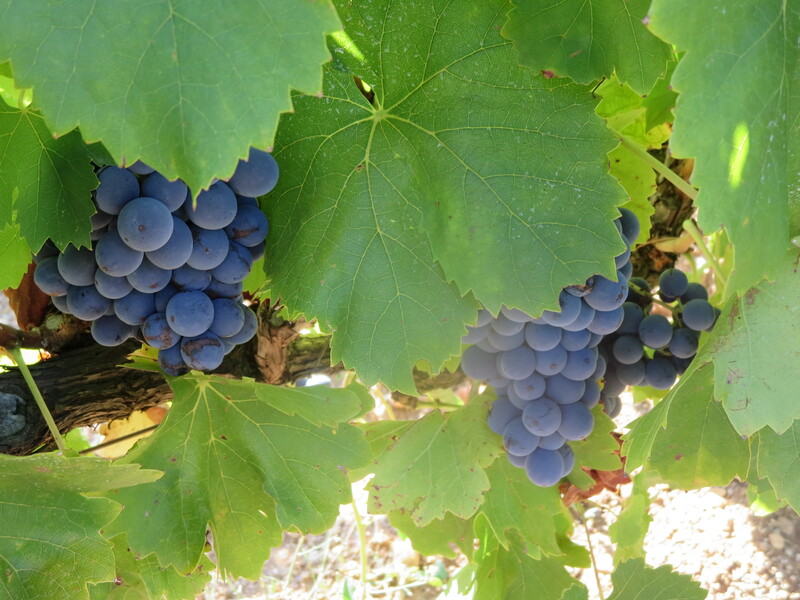 A variety of grapes are planted with the oldest being some Syrah planted in 1993, Cabernet Sauvignon planted 1998 and younger plantings of Mourvedre, Syrah and especially Cinsault. 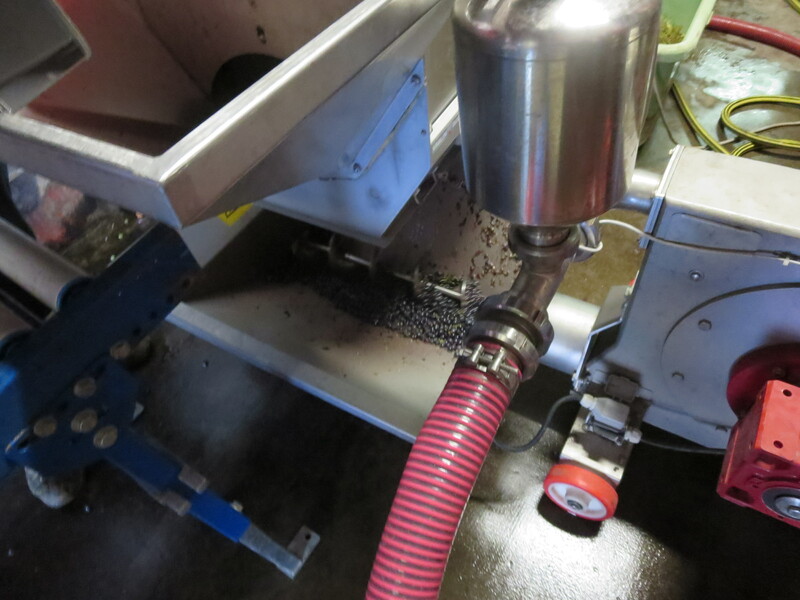 The Syrah goes into bottles such as Classe and 7, Rue De La Pompe. 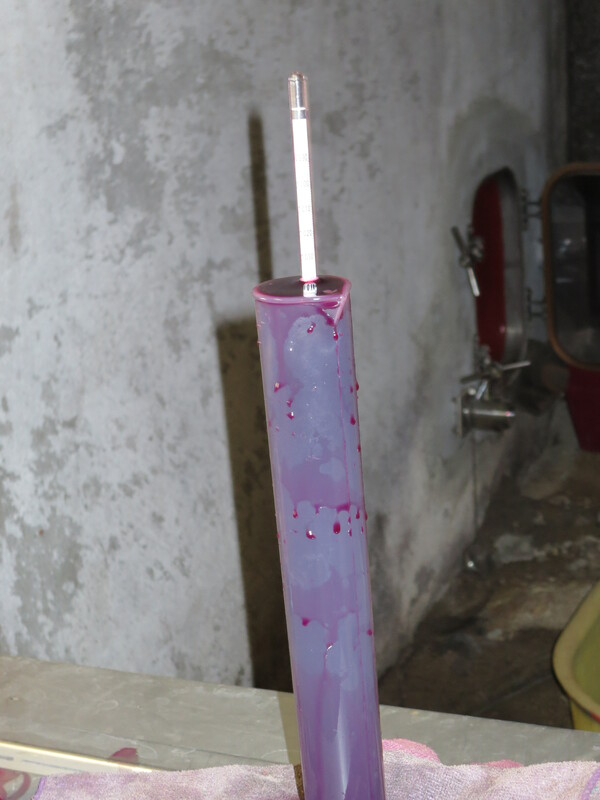 Mourvedre goes into Sauvé De La Citerne and the Cinsault into 5SO. 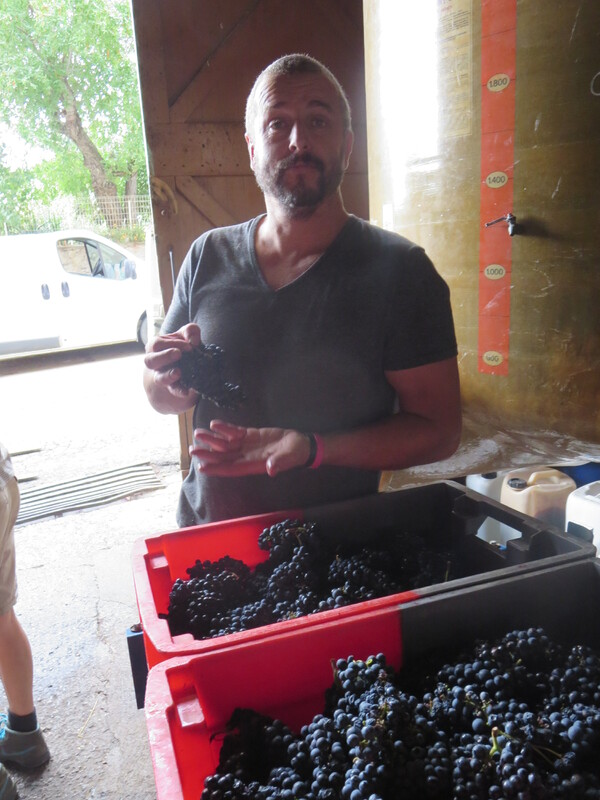 The Cabernet grapes will be used for blending in various cuvées or sold to the UK to make the new London Cru Cabernet Sauvignon, a project run by Roberson in London. 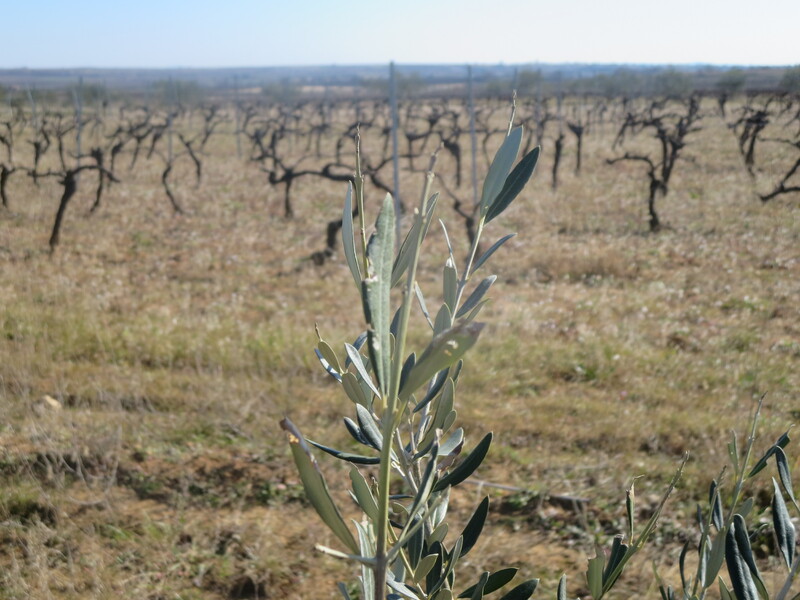 To the west of Puimisson La Prairie is an olive grove in a very pleasant area with an official ecology walk going past it. 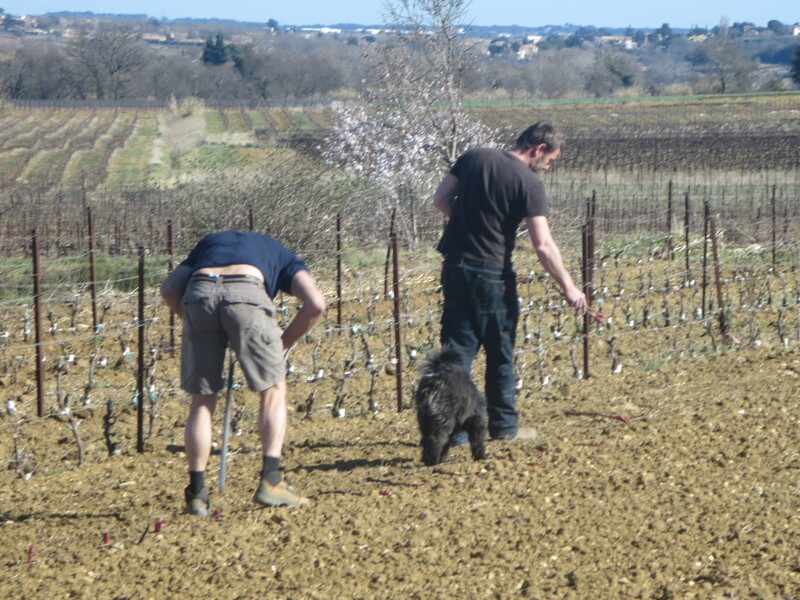 No vineyard planted. 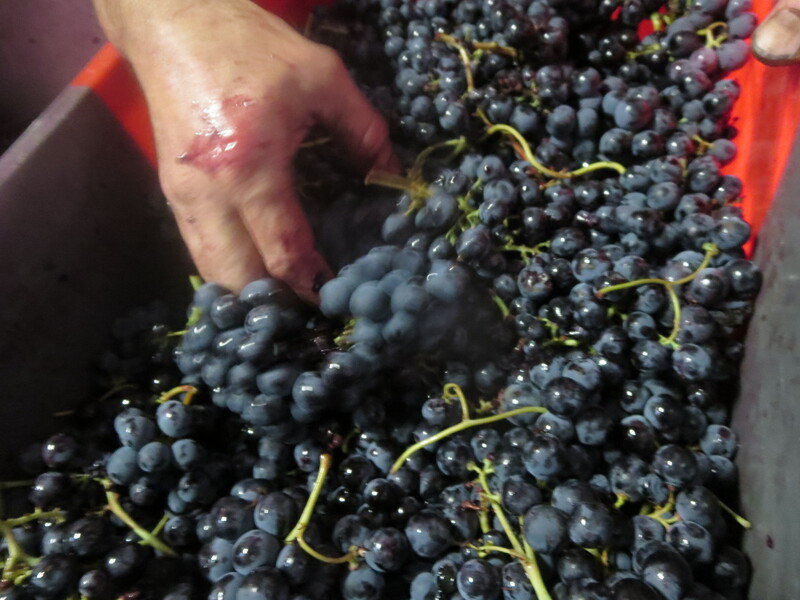 Just at the southern tip of the village Le Colombié is planted entirely with Merlot vines. 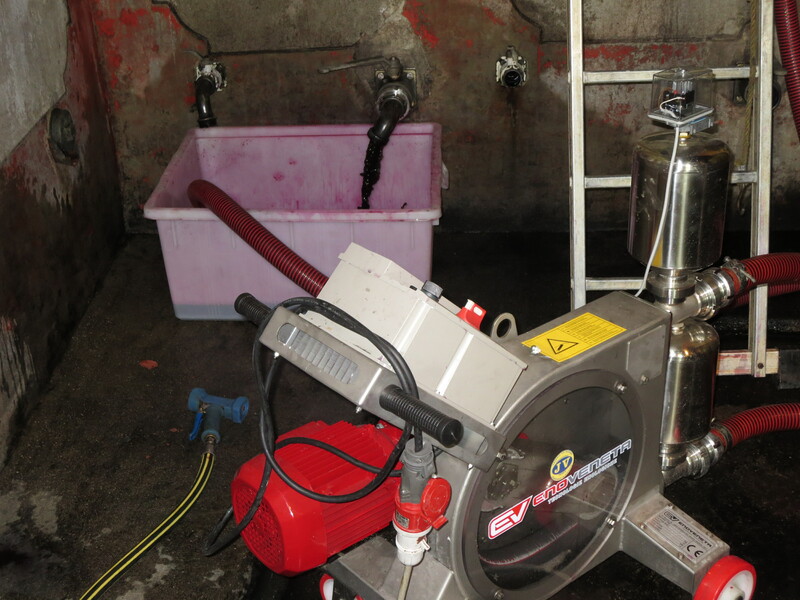 These will produce grapes used to blend for cuvées prepared for restaurants, bag in box etc. 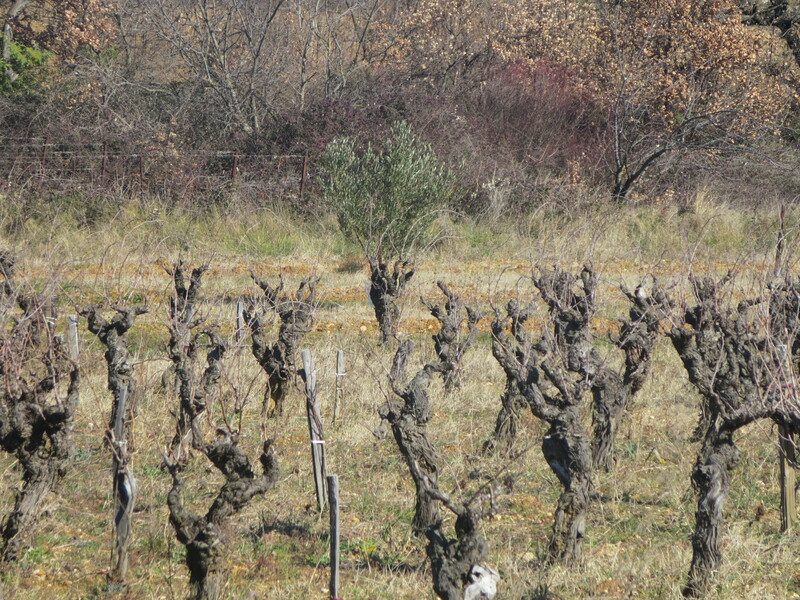 Merlot is not a typical Languedoc variety, these were planted in 1999. 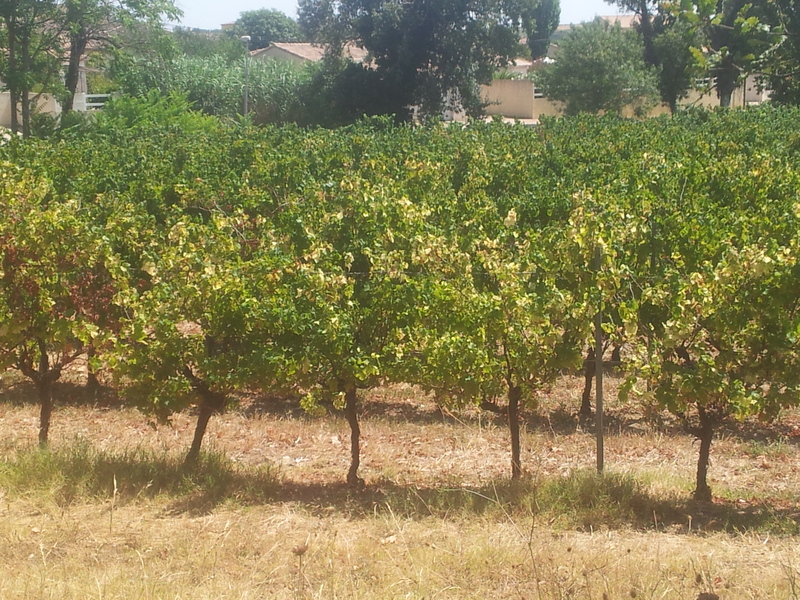 Possibly my personal favourite vineyard of them all. 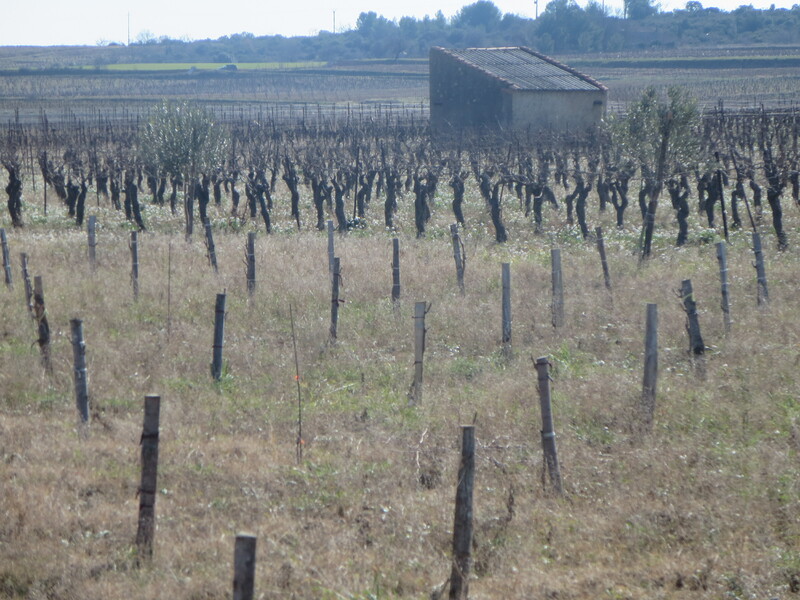 It is quite isolated even though there are other vineyards around. 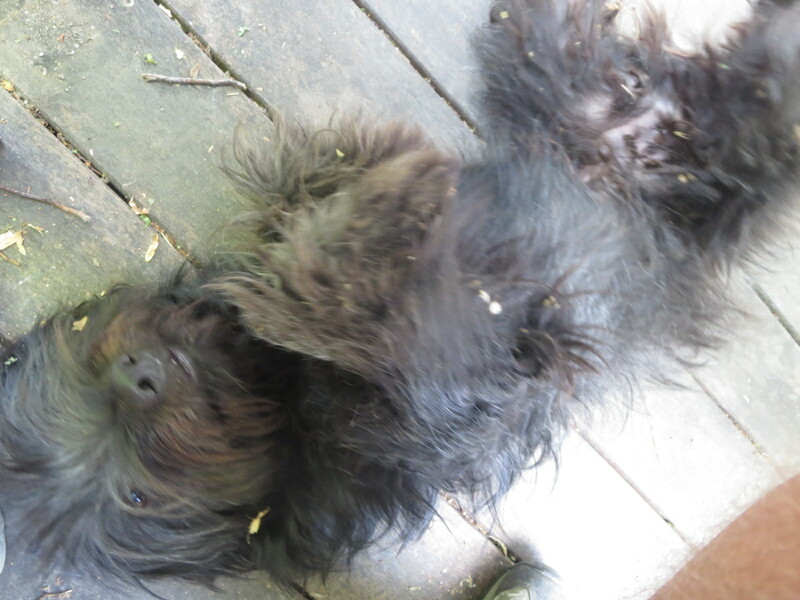 Isolated, because there is a wood which shelters it. 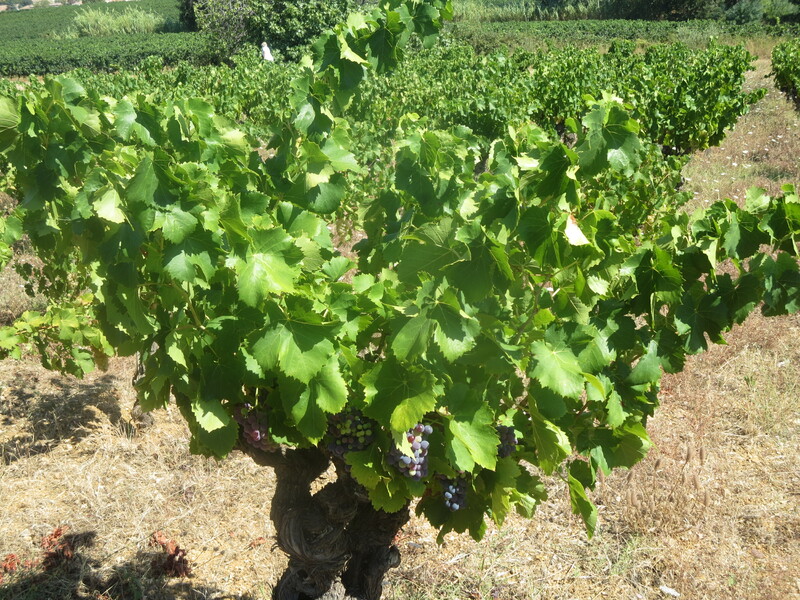 The gobelet Cinsault vines date back to 1966 and 1975 and go into the Copains or,in some years, Vin Des Amis or Classe. 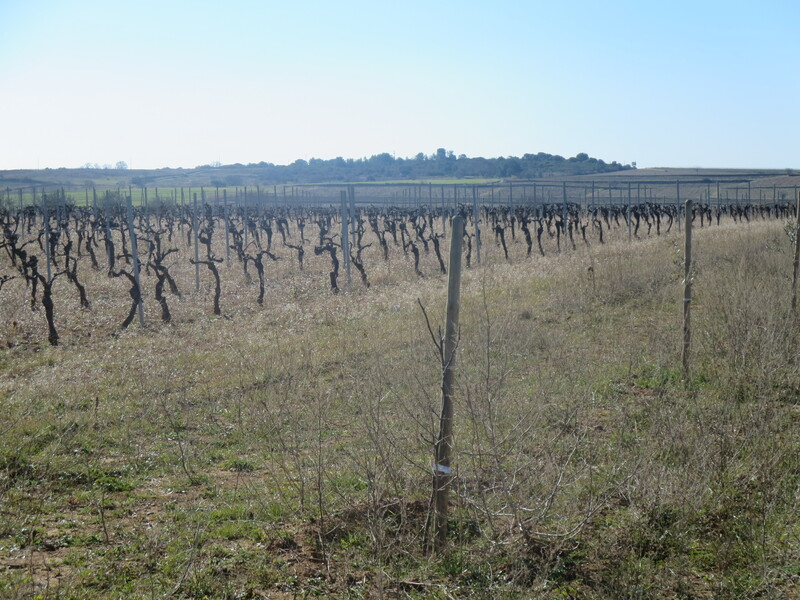 These old vines are also surrounded with young olive trees and the parcel is an attractive and quiet haven. 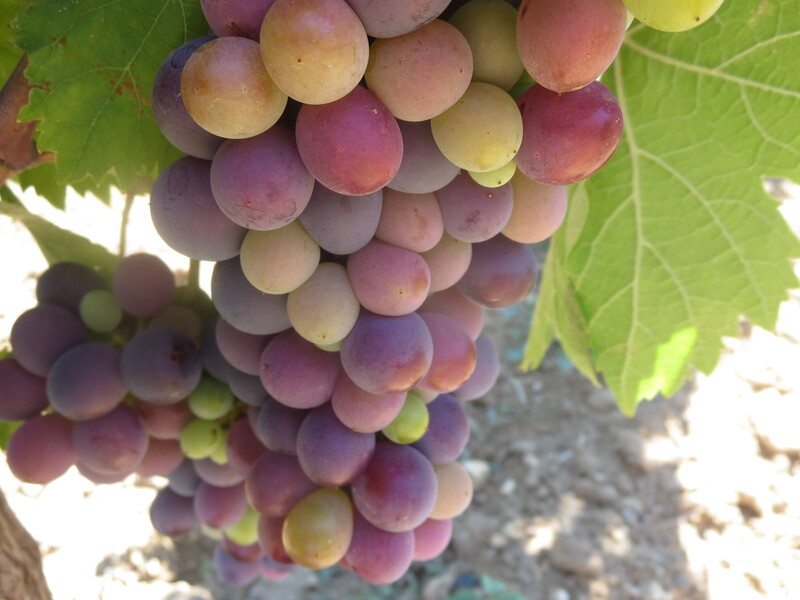 There is also a planting of some 20 different varieties of grapes including various types of Muscat which are used in a solera system. 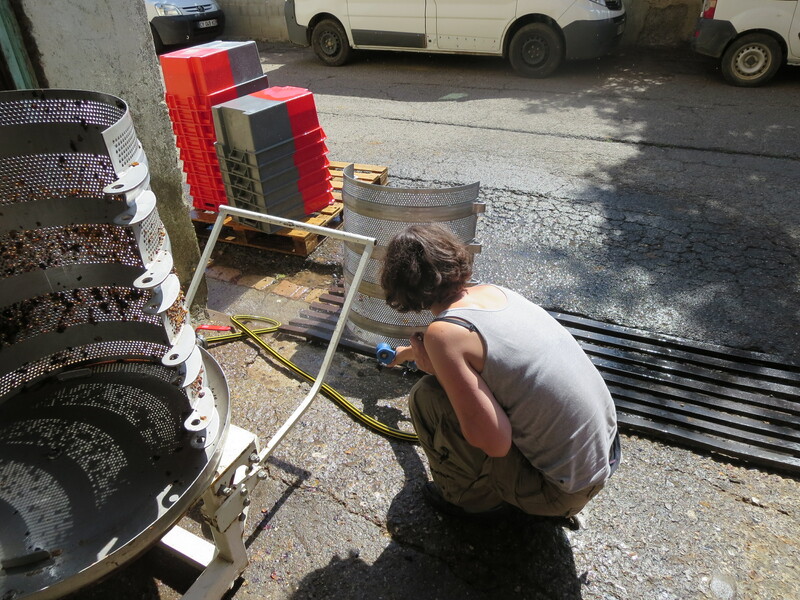 This was started many years ago by Jeff’s grandfather and ever since wines have been used to top up the old barrels to make Vieux Grenache and Vieux Muscat. 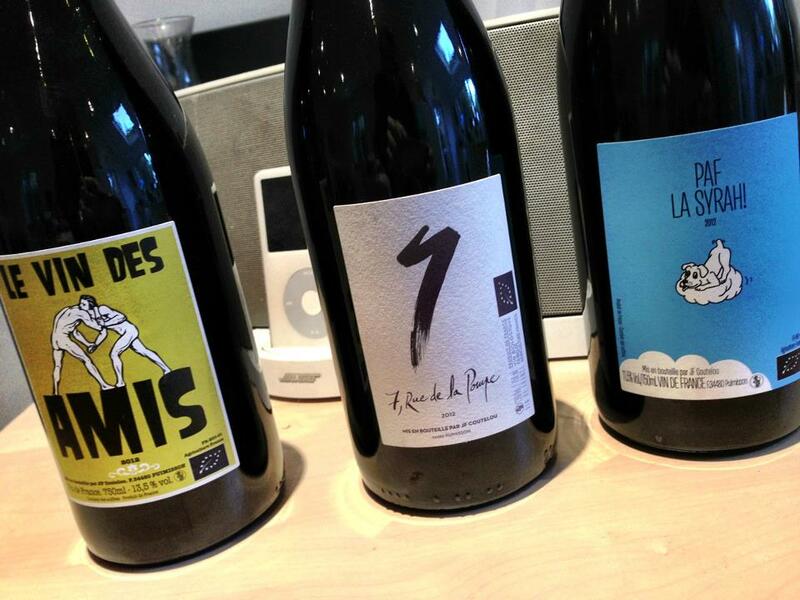 Sensational wines. 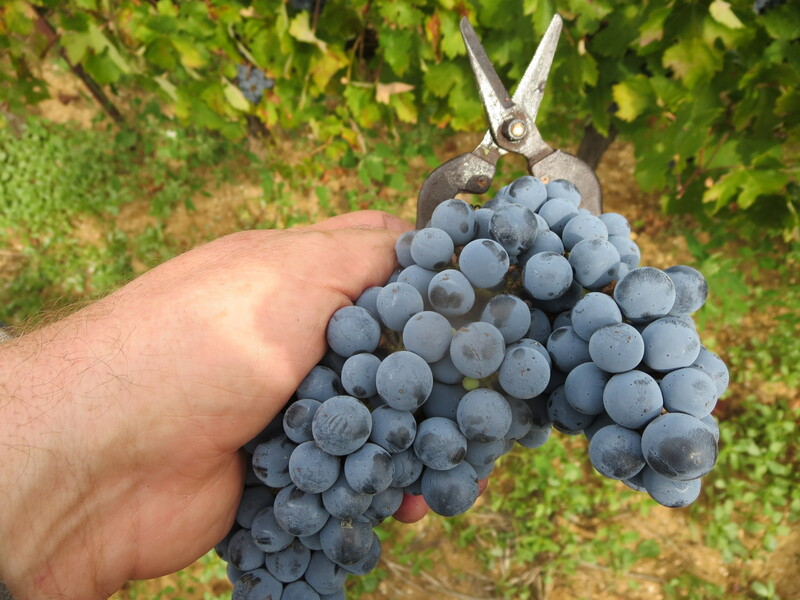 The added benefit is that because there are so many different types of vine they cross pollinate and this adds an extra layer of complexity to the Cinsault in the Rome vineyard. 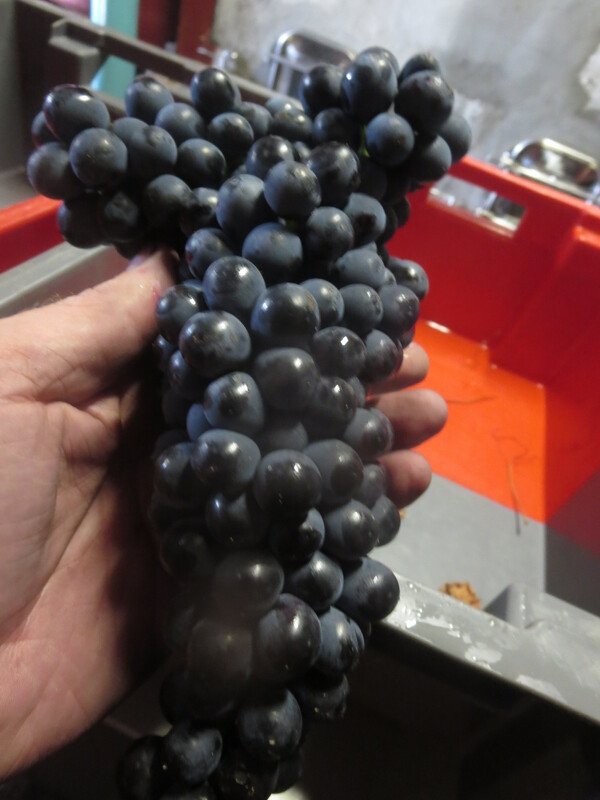 The parcel which was the basis of my post One Day Like This when we harvested the last grapes of 2014, some Grenache. 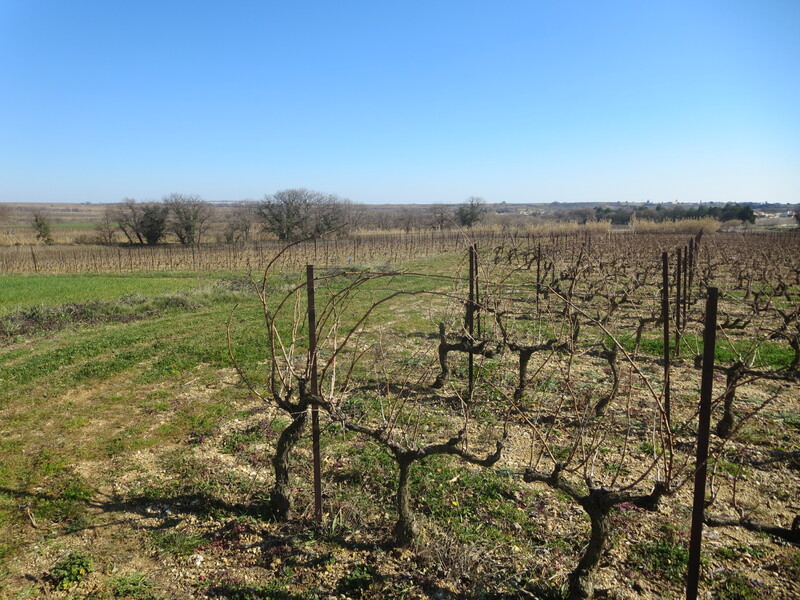 There are a few older Merlot vines (to be replaced in 2015) but the parcel is mainly the home of Grenache and Syrah grapes which are used to make the ever popular Vin Des Amis. 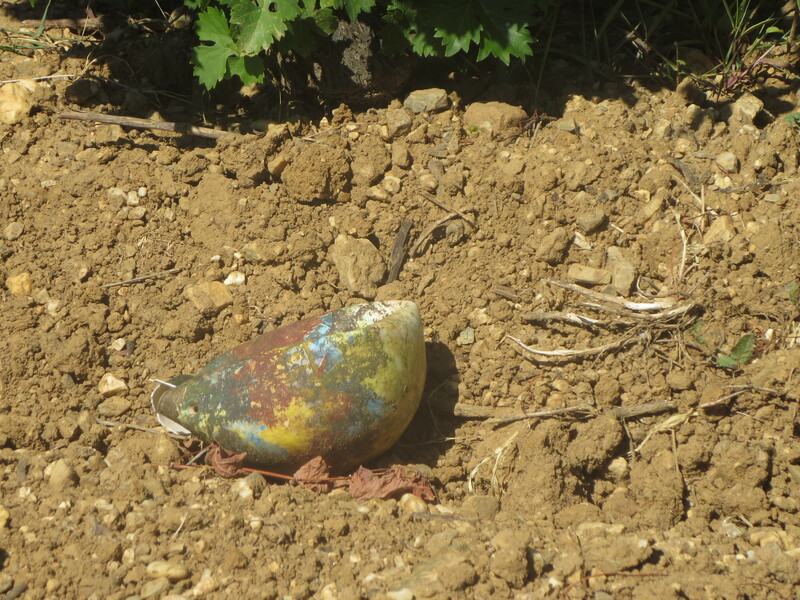 Described in some detail in the post Working In The Vineyards (January). 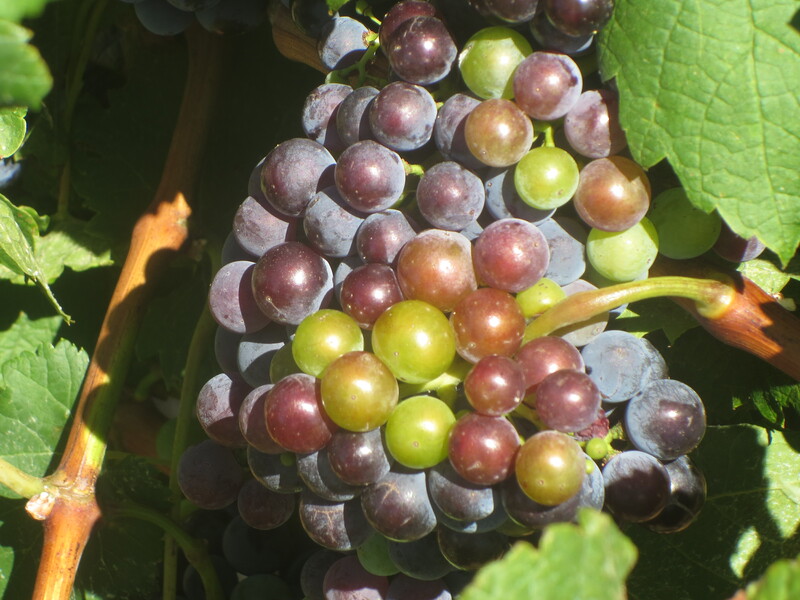 Made up of three sections: some younger Syrah facing north for freshness, a section of Grenache facing south, as it likes the heat and some 20 year old Sauvignon Blanc vines too. 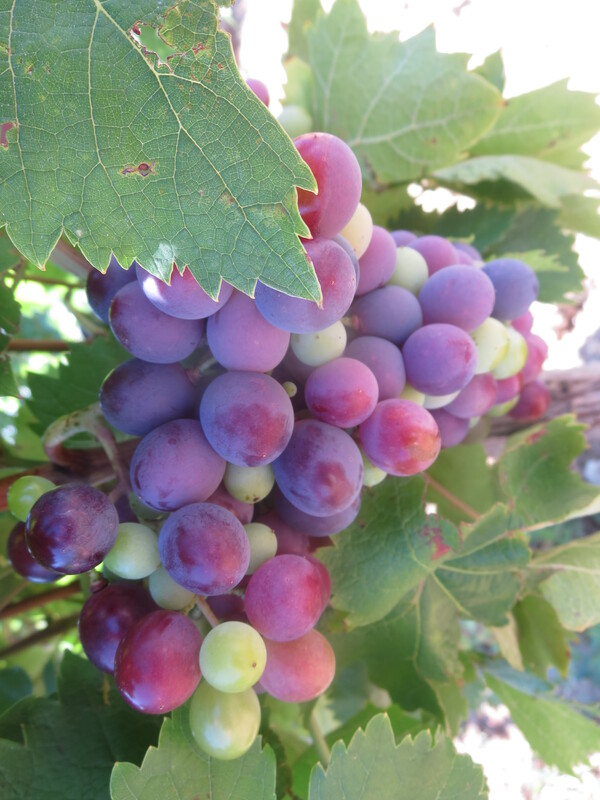 The Sauvignon is used to make the white blend PM or other white cuvées, the Syrah goes into my favourite La Vigne Haute and the Grenache is used to make Classe along with the Syrah from Segrairals. 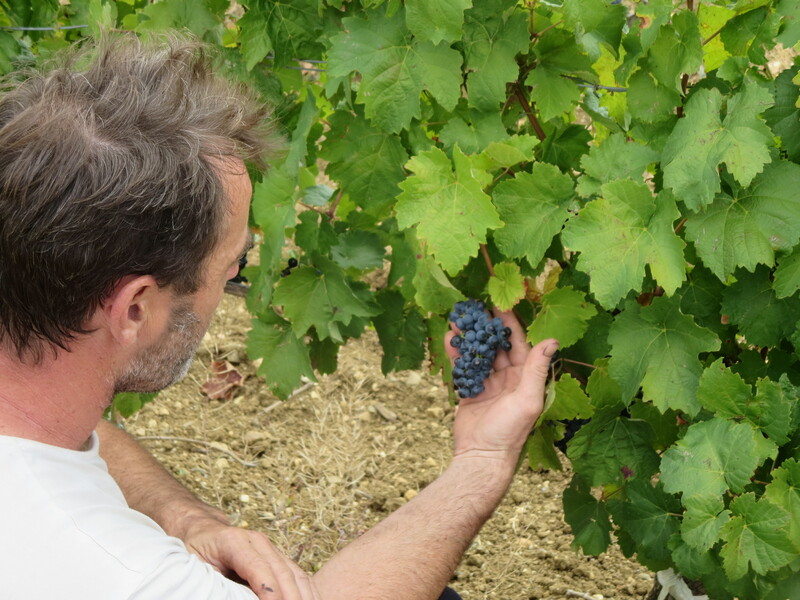 A parcel of half a hectare (just over an acre) surrounded by vines, Jeff decided that it is compromised in terms of quality grapes so he planted 112 olive trees in 2011 to provide contrast to the fairly barren land and vines surrounding Grangette. Actually made up of two parcels of land. 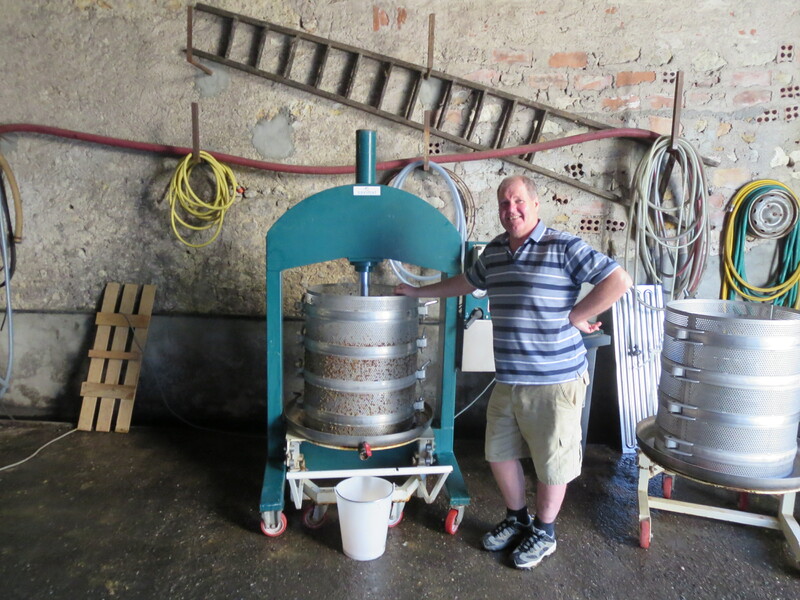 This has seen a lot of work in recent years as Jeff has tried to diversify it. 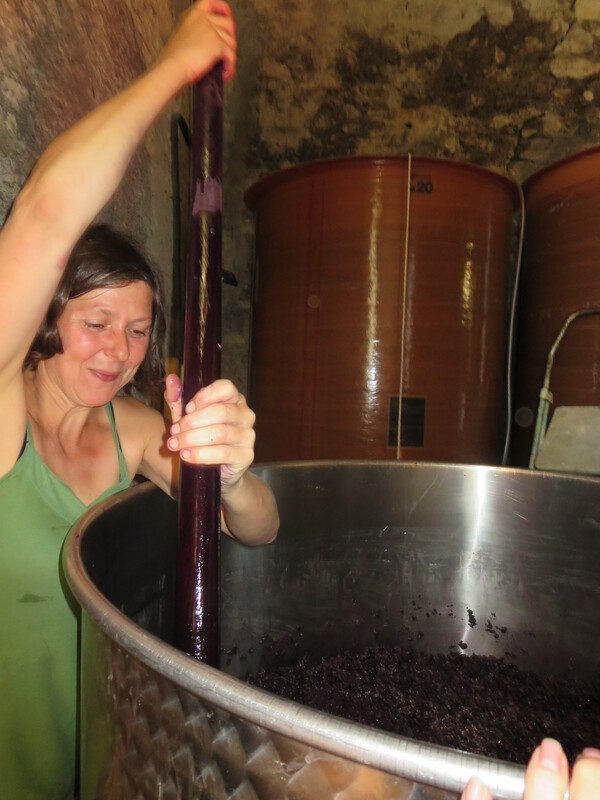 The central block is half a hectare of 30 year old Carignan, used in making Flambadou, a wine which is really improving and was one of the stars of 2013. 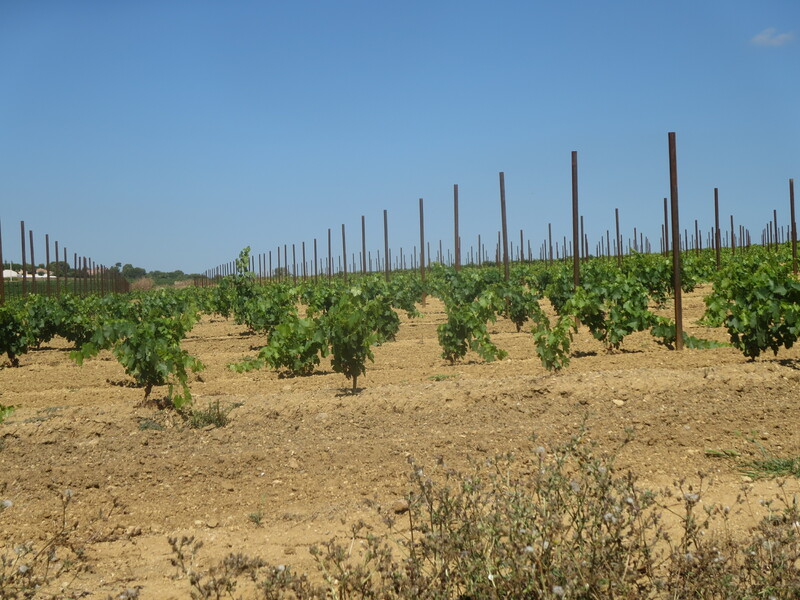 Surrounding these vines Jeff has planted half a hectare of olive trees to keep them away from the chemicals of neighbouring vineyards. 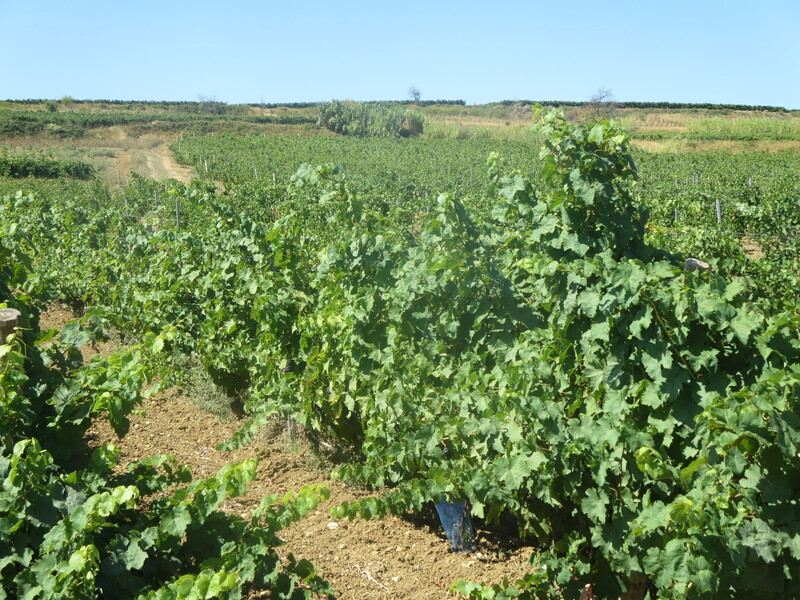 The second part of Rec resembles Grangette as an isolated small parcel and again Jeff has planted olive trees to diversify as it is too small and isolated in its organic nature for grapes. 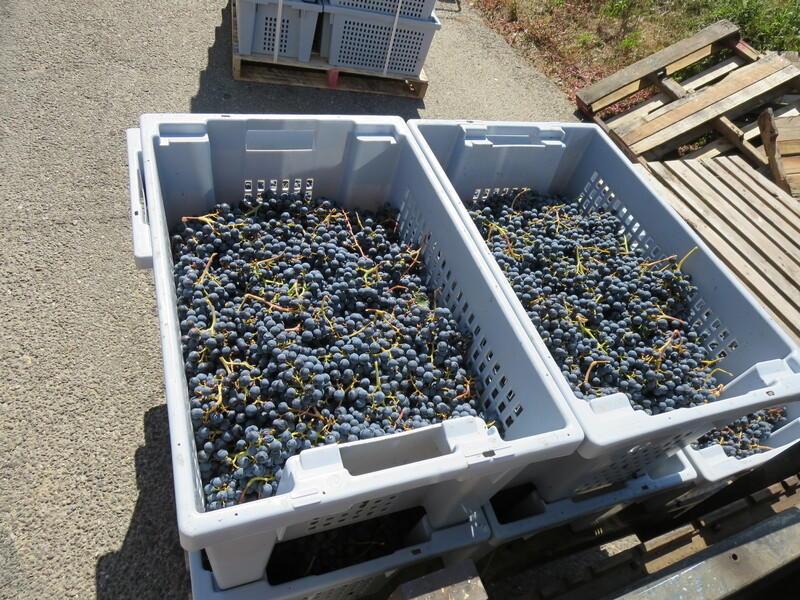 A parcel where Jeff has worked hard in recent years. 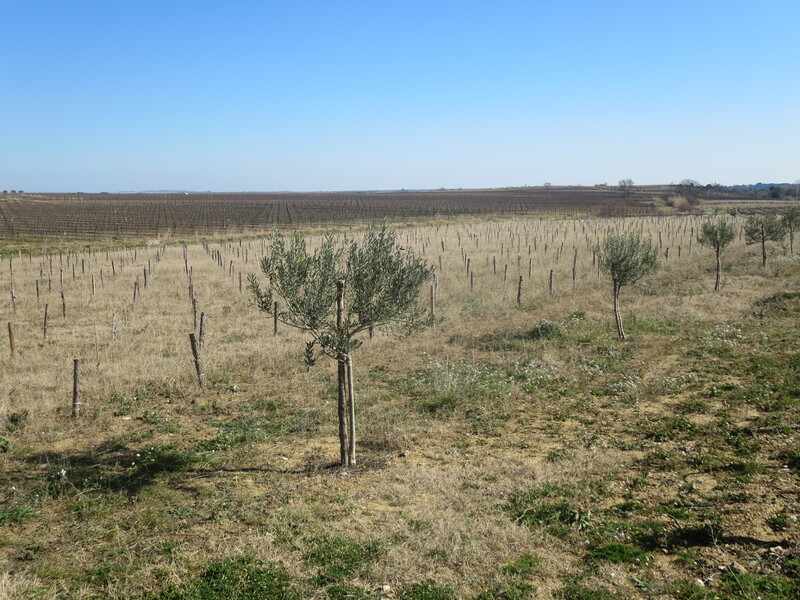 More olive trees planted in 2011 as were those in the small section of Rec. 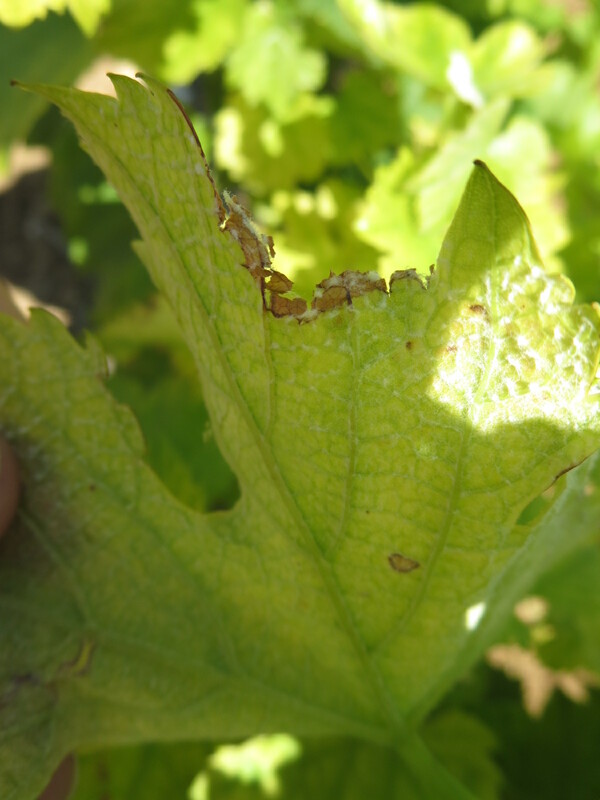 In addition he has grafted an older variety Aramon into the vineyard covering over half a hectare. 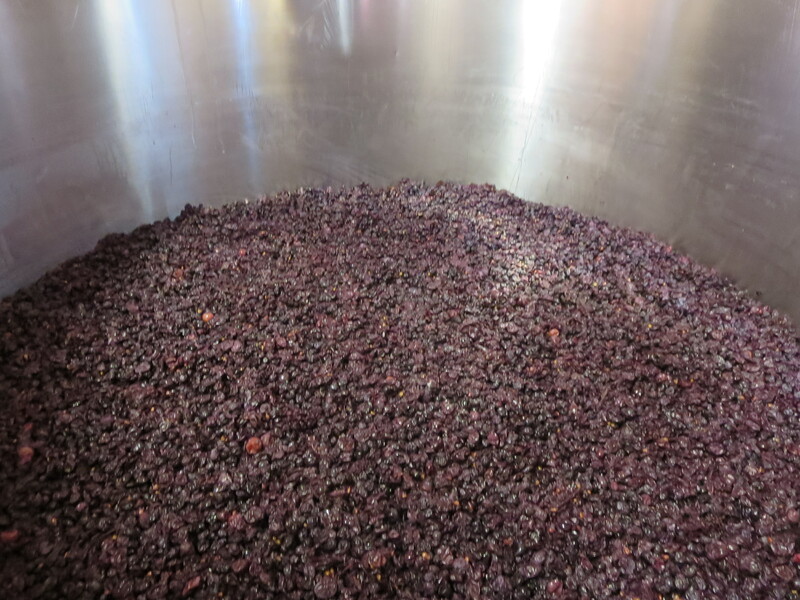 These grapes will be used to create new cuvées and the first blend of grapes produced in 2014 is highly promising tasted from tank. 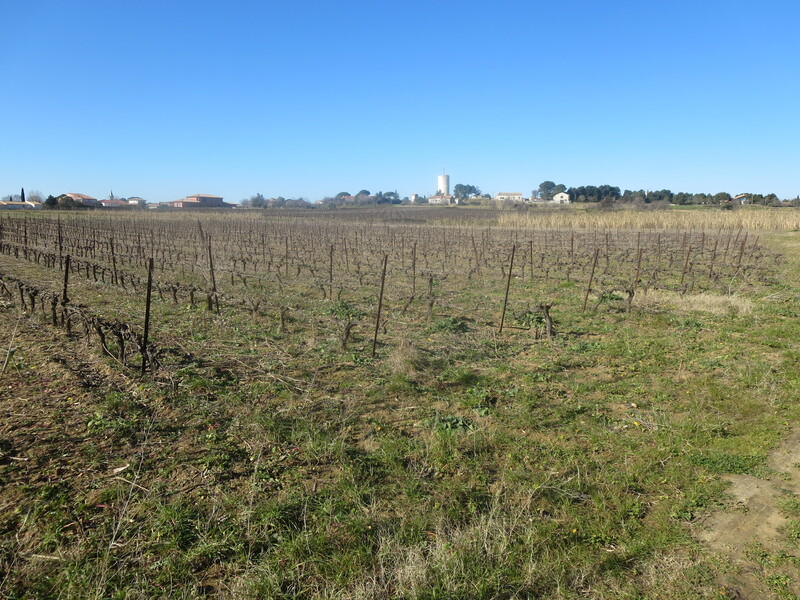 One hectare of land to the south east of the village heading into Lieuran-les-Béziers, this was the vineyard I showed after the storms of November 28th 2014 when it was flooded. 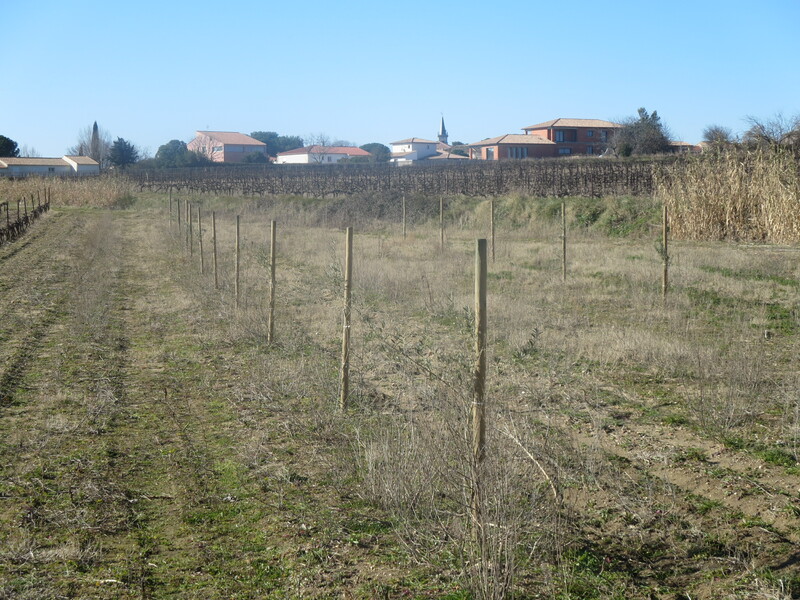 In fact the vines have been grubbed up and there is a programme in place to plant trees and to provide a barrier to the Libron river in case it should flood gain. 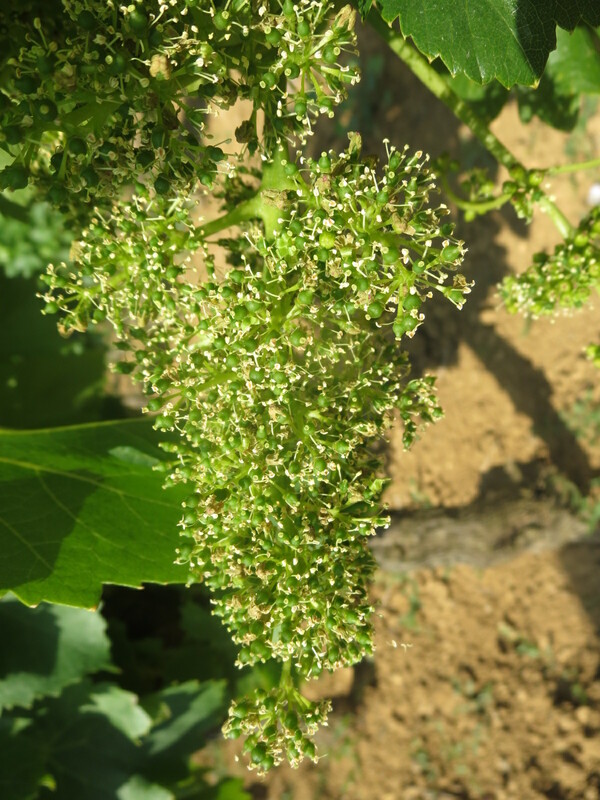 An attractive vineyard nicely protected. 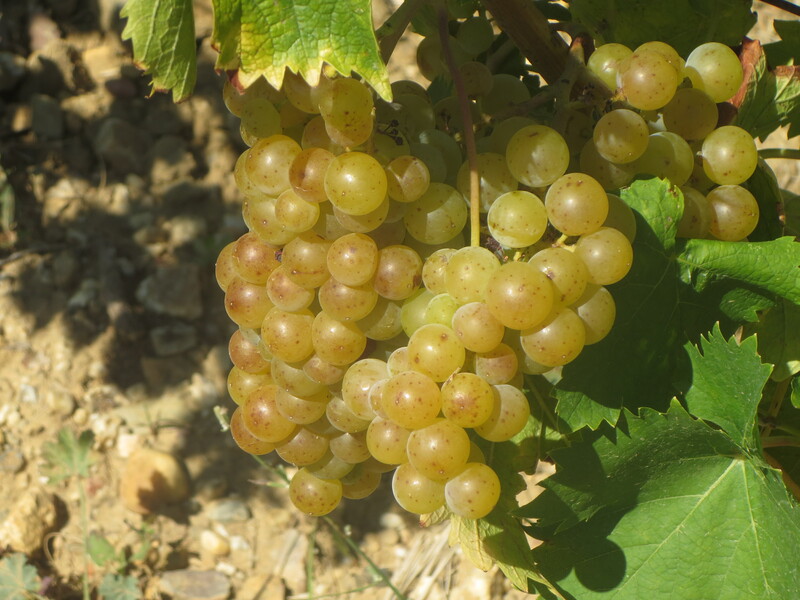 About a hectare is planted with white grape varieties, including a section of Carignan Blanc which has been used to make a cuvée all on its own. 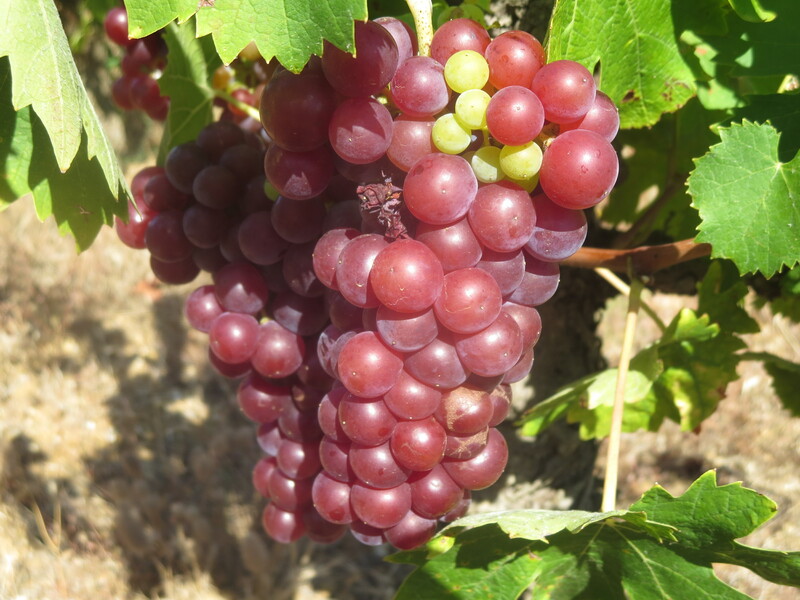 Maccabeu, Grenache Gris and different types of Muscat make up the other white varieties and these are usually picked, assembled and vinified together as part of the PM white blend. 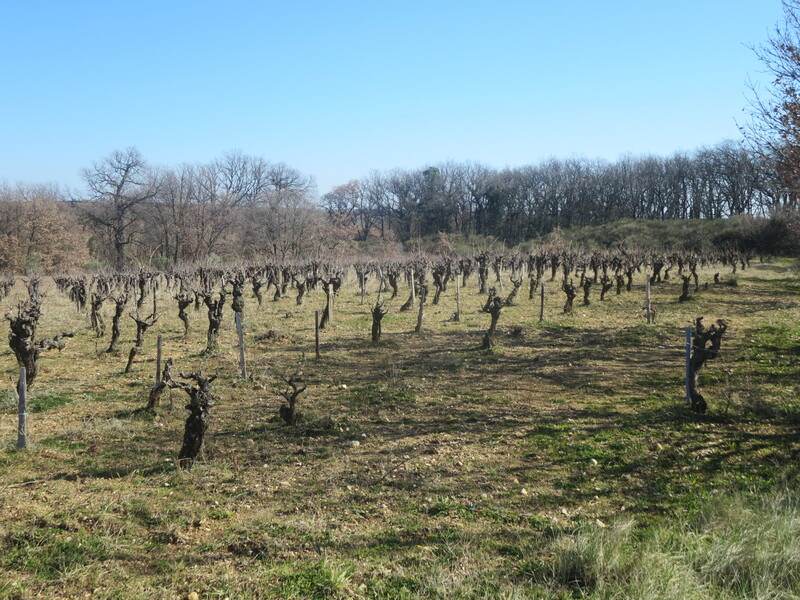 This also the home of the Castets vines I have written about a lot, one of only two Castets vineyards in France. 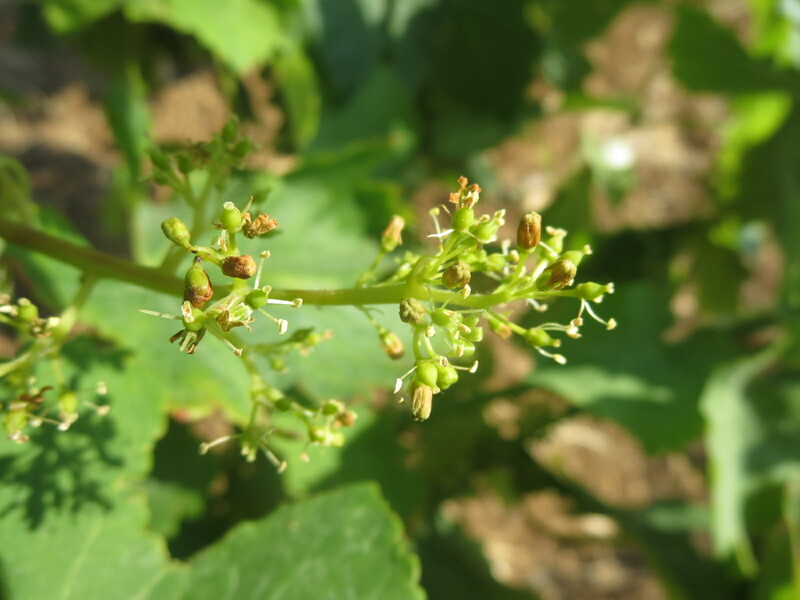 More Carignan vines are joined by another interesting grape variety, Clairette Musquée which was blended with the Aramon from Font D’Oulette last year. 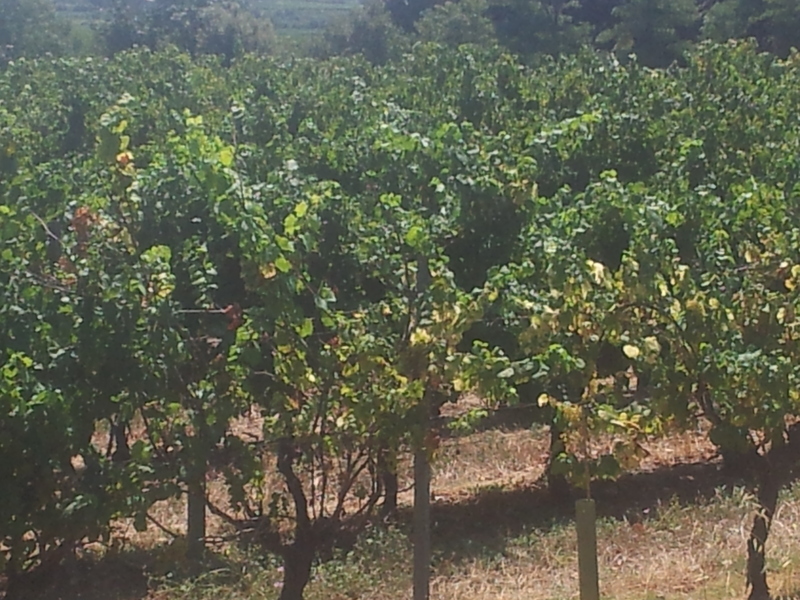 This is the vineyard where a recent plantation took place to bring back older varieties to the area. 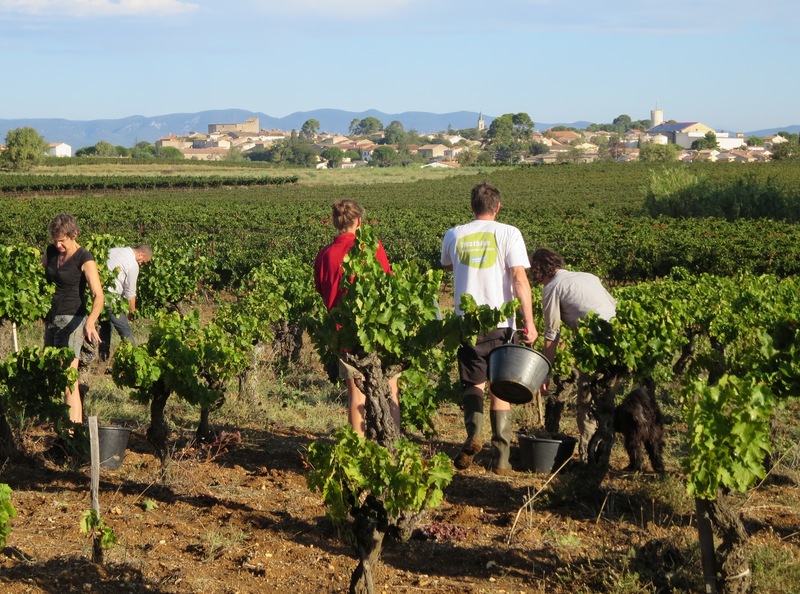 Terret Blanc, Riveyrenc Gris and Piquepoul Gris were planted along with Terret Noir, Morastel and Riveyrenc Noir. 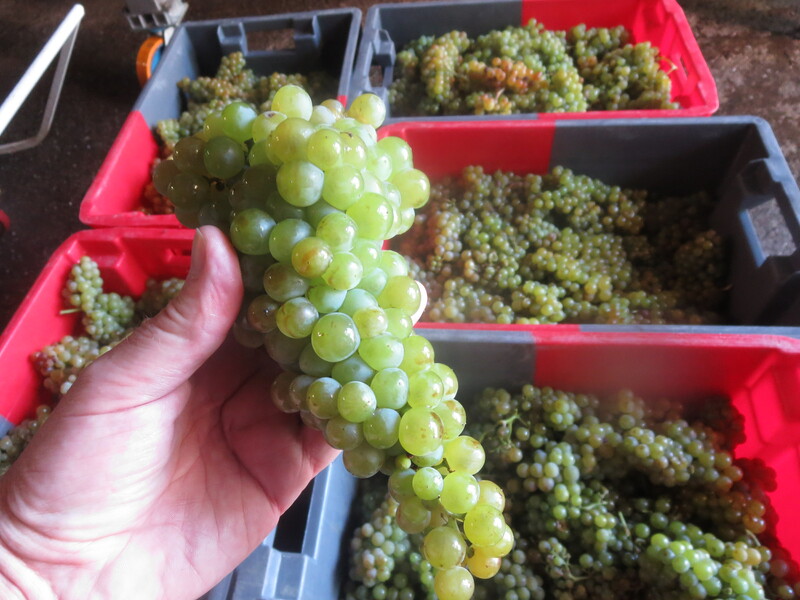 picked, assembled and vinified together as part of the PM white blend. 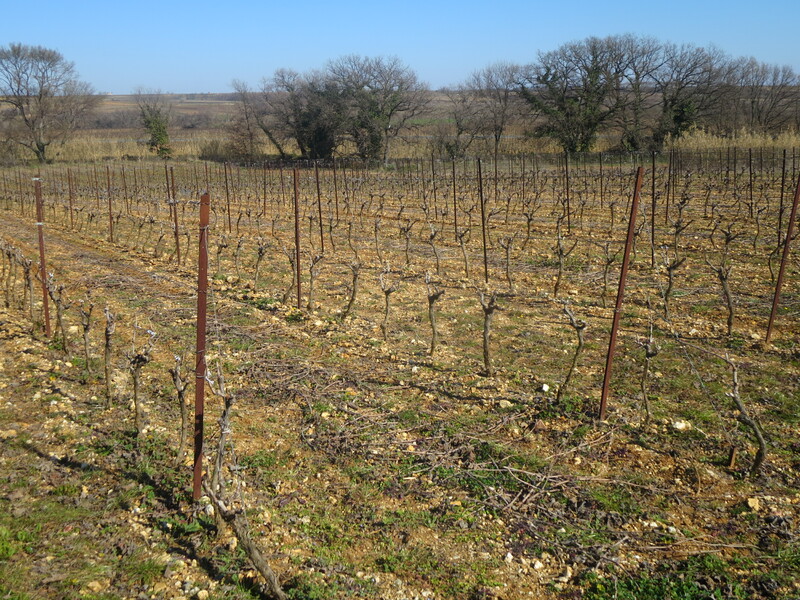 This also the home of the Castets vines I have written about a lot, one of only two Castets vineyards in France. 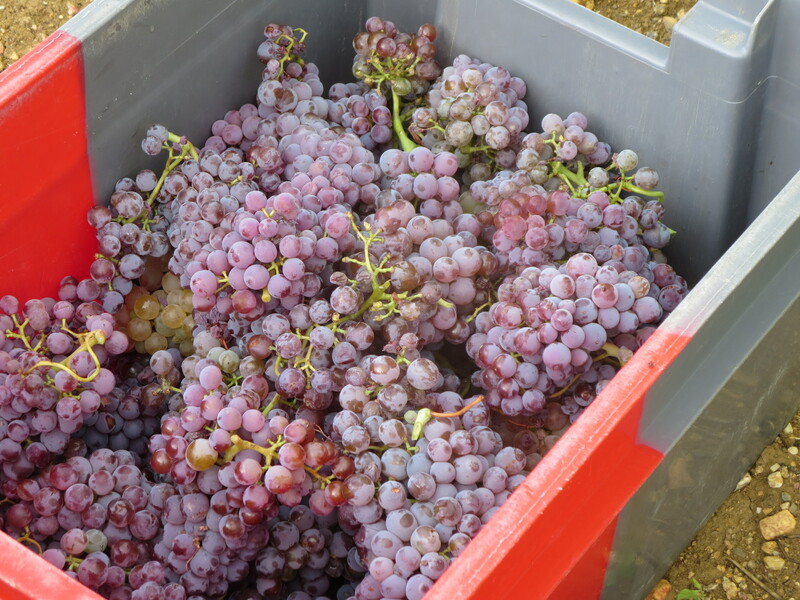 More Carignan vines are joined by another interesting grape variety, Clairette Musquée which was blended with the Aramon from Font D’Oulette last year. 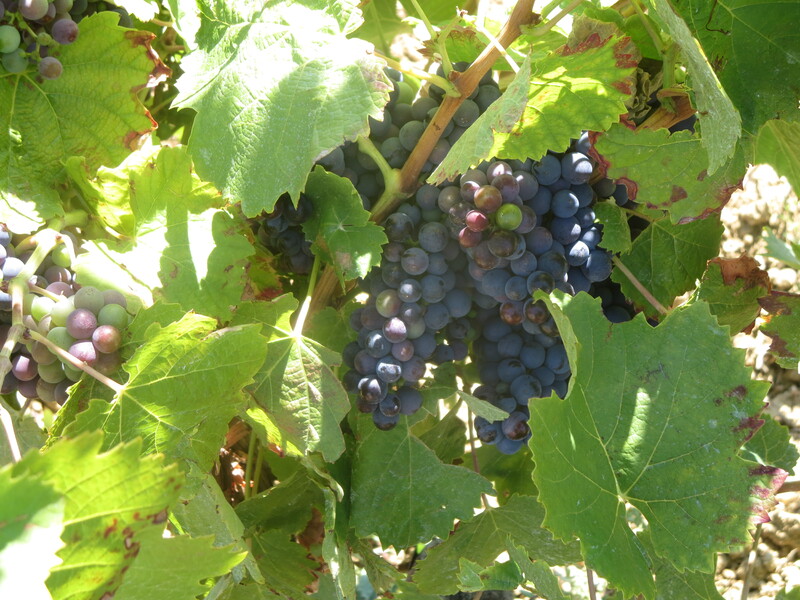 This is the vineyard where a recent plantation took place to bring back older varieties to the area. 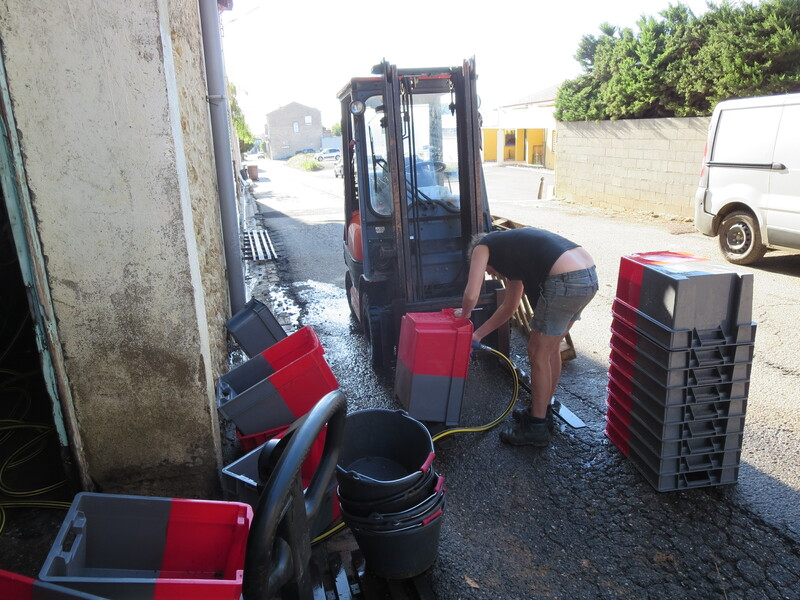 Terret Blanc, Riveyrenc Gris and Piquepoul Gris were planted along with Terret Noir, Morastel and Riveyrenc Noir. 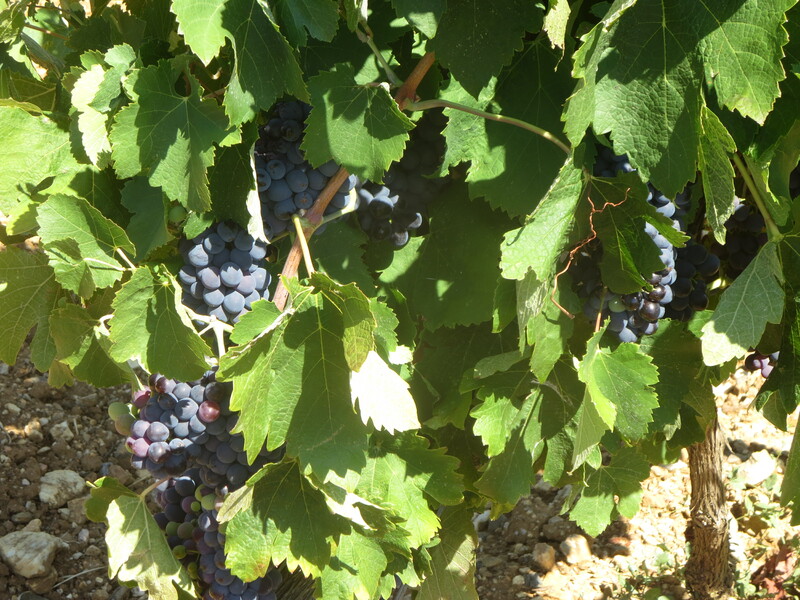 Overall Syrah is the predominant grape variety making up around one third of production, although 2014 saw a big reduction in the harvest due to the dry spring and early summer. 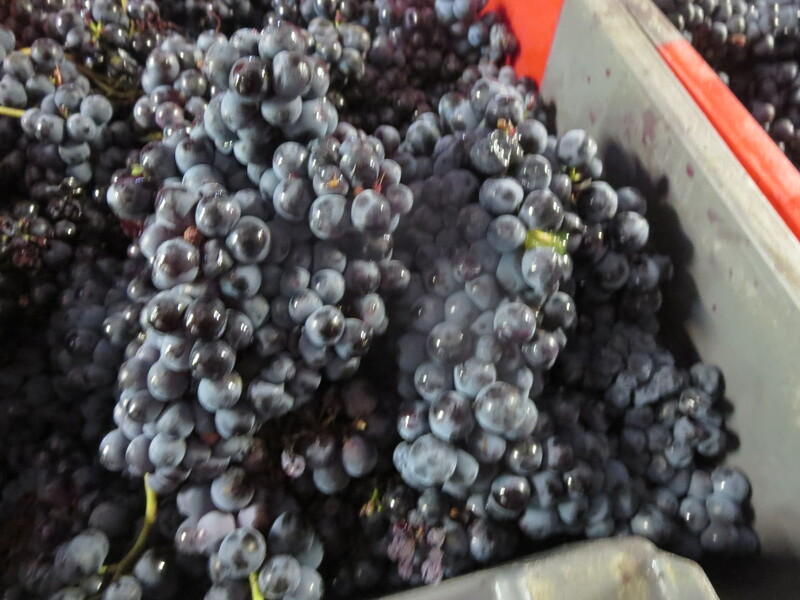 Red grapes dominate with well over 90% of production. 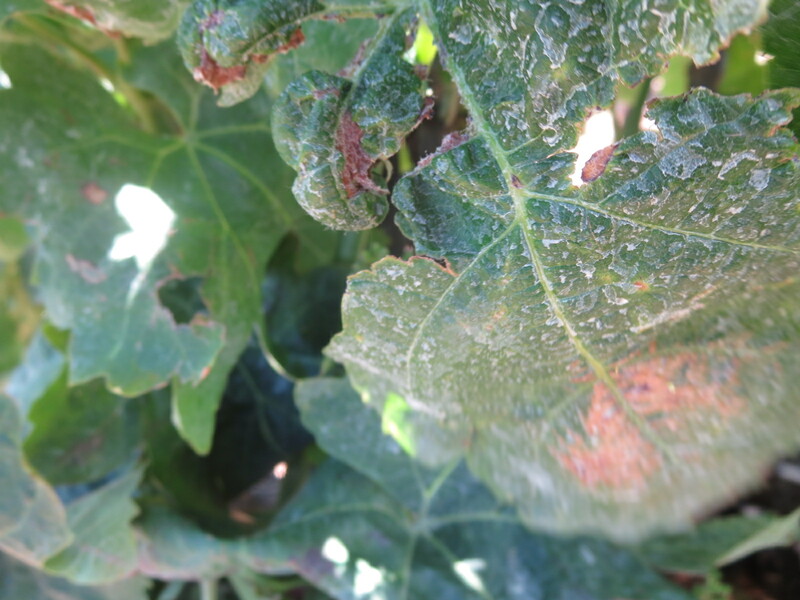 Organic since 1987, no synthetic chemical products have been used on the soils for over 25 years now. 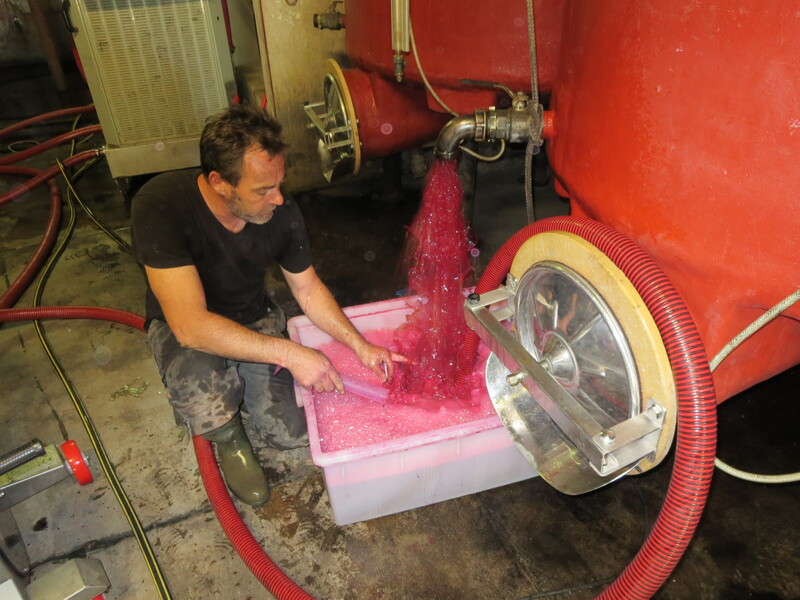 No artificial yeasts are added in the winemaking process, the grapes produce healthy yeasts themselves to stimulate fermentation. 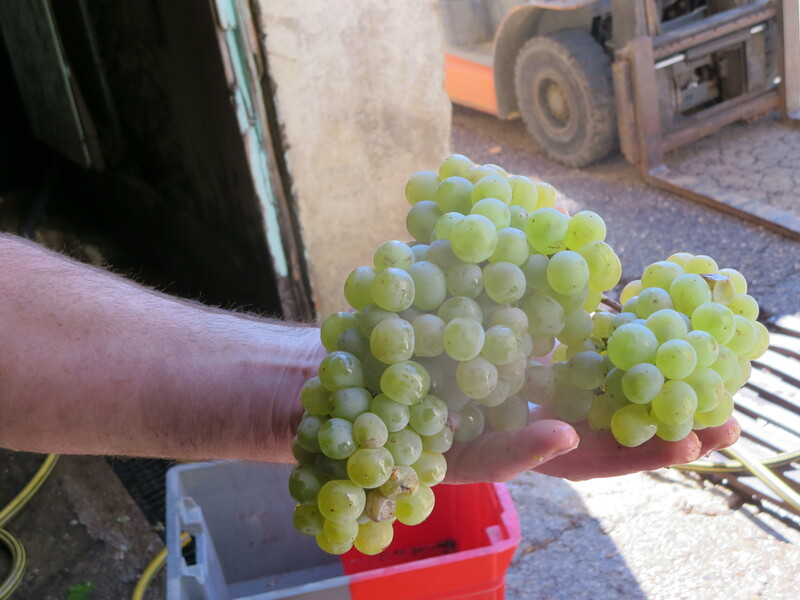 Grapes also naturally produce tiny quantities of sulphites but Jeff has been experimenting with using no added sulphur since 2003 and has successfully completed the last three harvests without adding any sulphur to the wines. 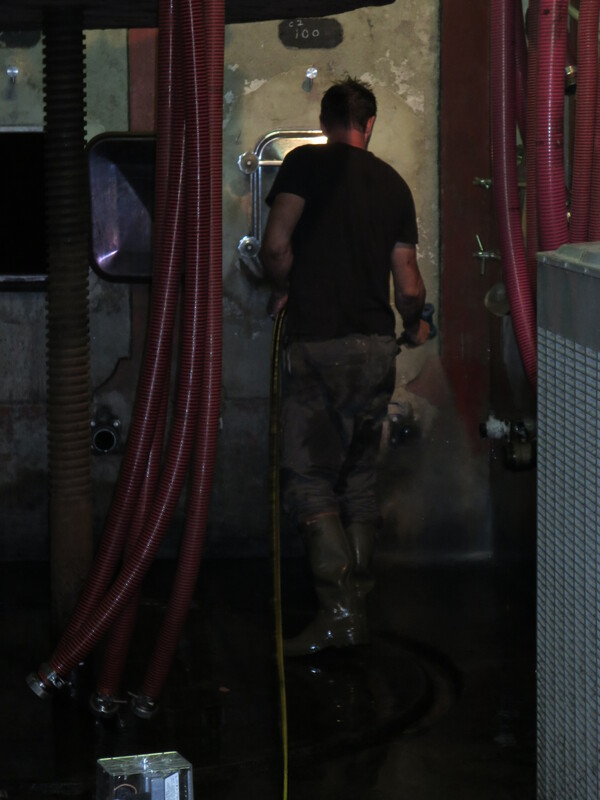 This dedication to producing wines which are as natural as possible, made with as little intervention as possible means that Jeff is restless in seeking to improve the quality of his soils and in protecting them from the non-organic practices of neighbouring vineyards. 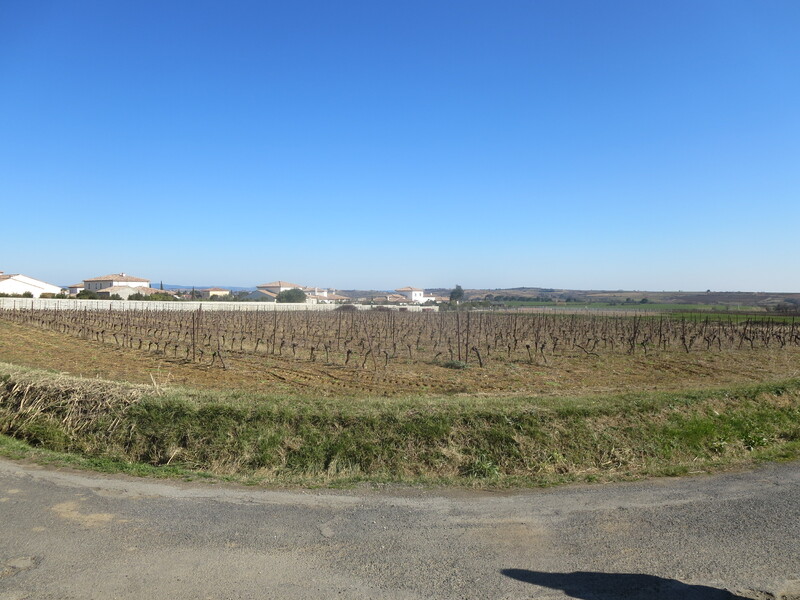 He has also brought in Agrifaune to put together a project to plant over I kilometre of hedges. 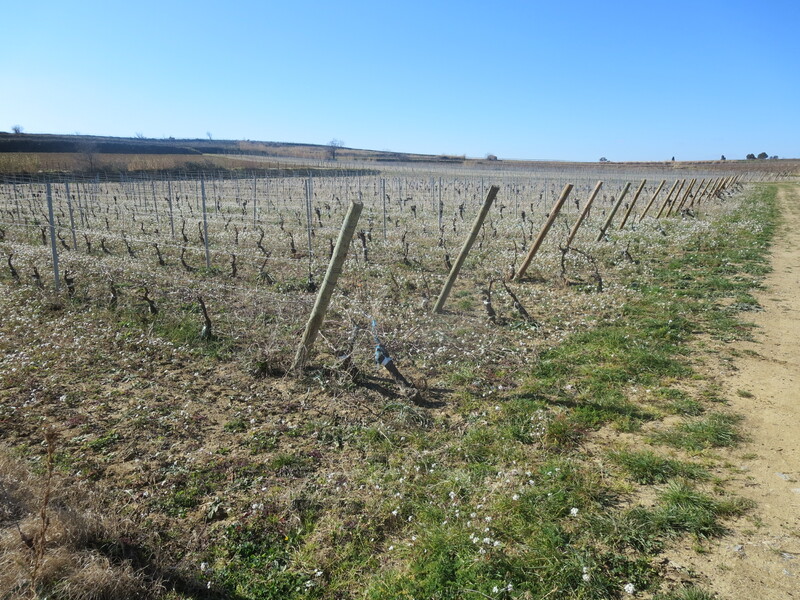 These will help to prevent soil erosion, protect Coutelou vines from surrounding vineyards and also provide shelter to wildlife which in turn will help to protect the vines, for example by eating damaging insects. 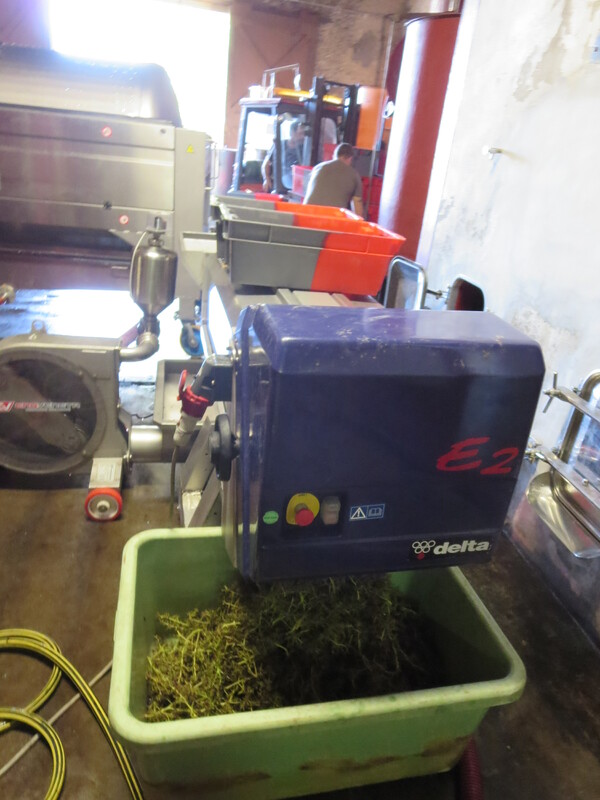 Trees such as oak, laurel and elder are being planted along with plants such as agrypis and wild rose. 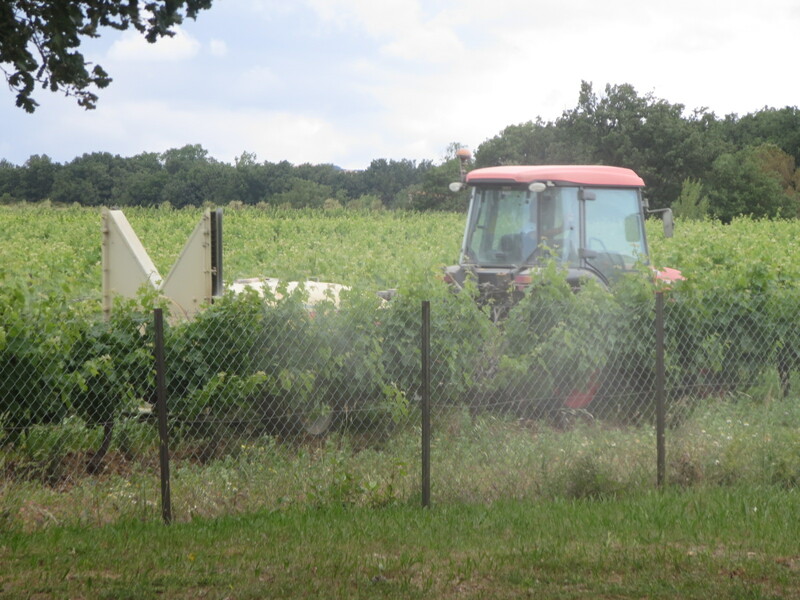 Around the vineyards wider borders of grasses and wild plants are being allowed to grow even if that means that vines have to be scrubbed up. 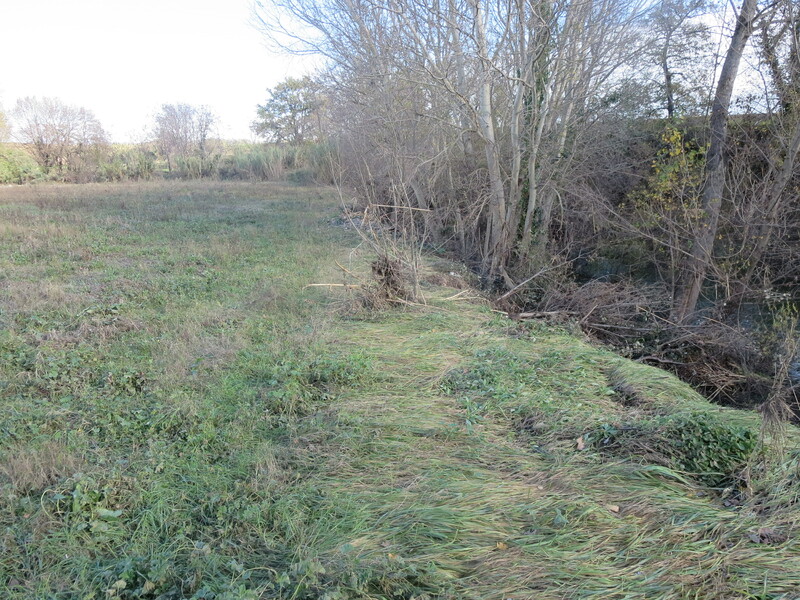 Similarly ditches and fallow land will be used to encourage biodiversity. 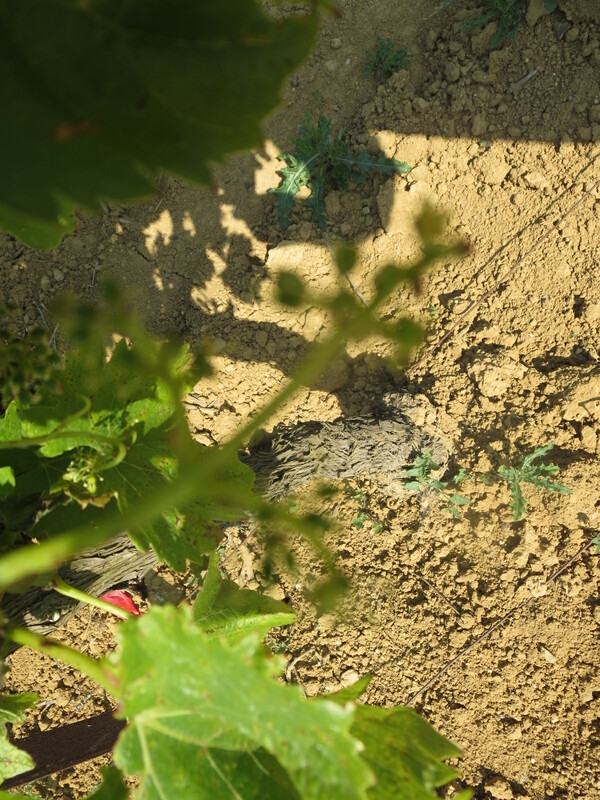 So in an area of monoculture these oases of biodiversity and wildlife will help to enrich nature, the vineyards and, ultimately, the wines. 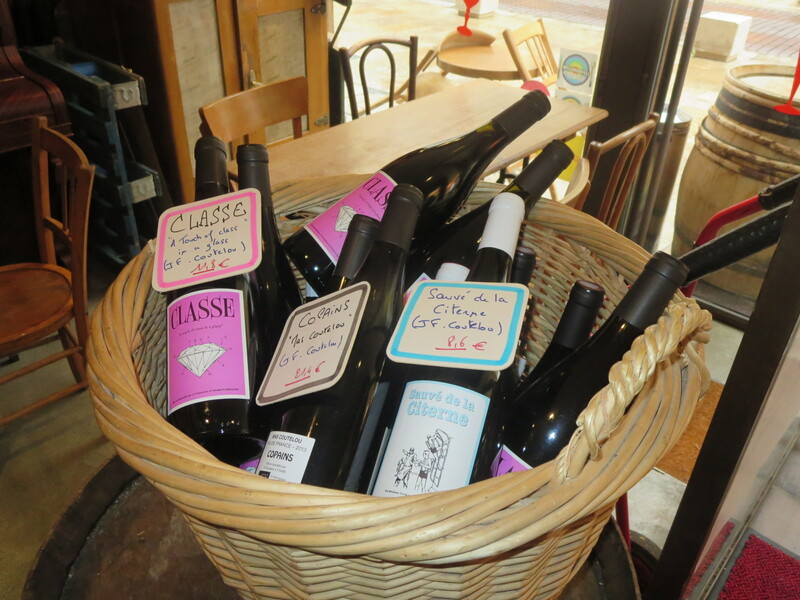 Categories: Vignerons, Vines, Wines | Tags: biodiversity, Font D' Oulette, hedges, La Garrigue, La Prairie, Le Colombié, Les Roques, Mas Coutelou, Metaierie, olive trees, organic, Peilhan, Puimisson, Rec D'Oulette, Rome, Segrairals, sulphur | Permalink.